The Environmental Implementation Report is very well organized and the education and stewardship materials look fantastic. 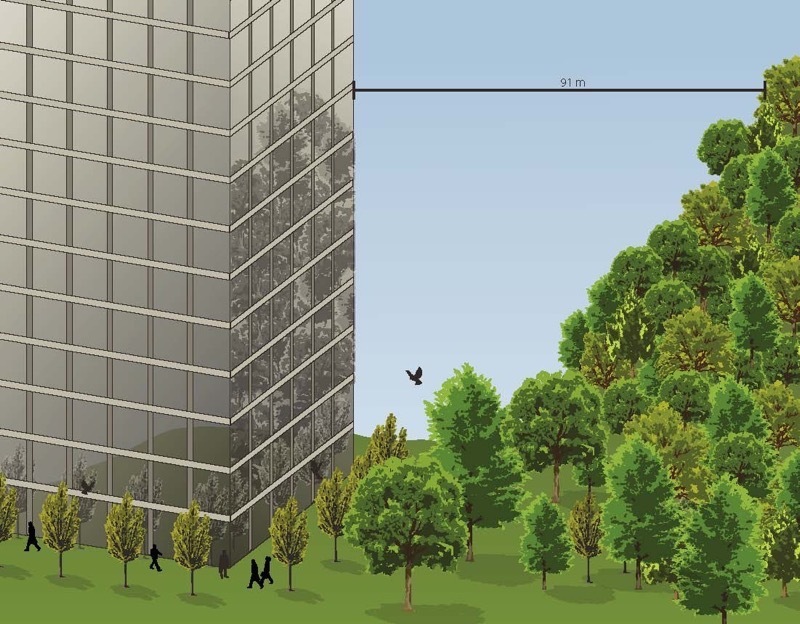 This report provides guidance to developers, architects and planners to minimize potential for bird-window collisions. The project included an illustrated draft report based on existing literature and consultation with knowledgeable individuals that was refined with input from the City’s Urban Design group, other City departments, and external stakeholders from the development community. The final report provides an introduction to the issue and detailed, illustrated measures for reducing bird-window collisions. North-South Environmental worked collaboratively with the regional municipalities of York and Peel to assist with the development of official plan policies for protection the environment. This included finding a balance between prescriptive policies that ensure protection of key features, and providing flexibility to allow for efficient planning and refinement based on site-specific studies undertaken as part of development applications. We provided expert testimony to the OMB with respect to the proposed policies for the Region of York. This study provided the Natural Heritage element to guide growth in the Region through to 2030. It forms the basis of Halton’s response to the provincial growth plan and Official Plan reviews. Options for a regional Natural Heritage System built on existing protection designations in the Official Plan and focused on providing linkages among the Region’s natural features to maintain biological diversity and ecological function in the long term. 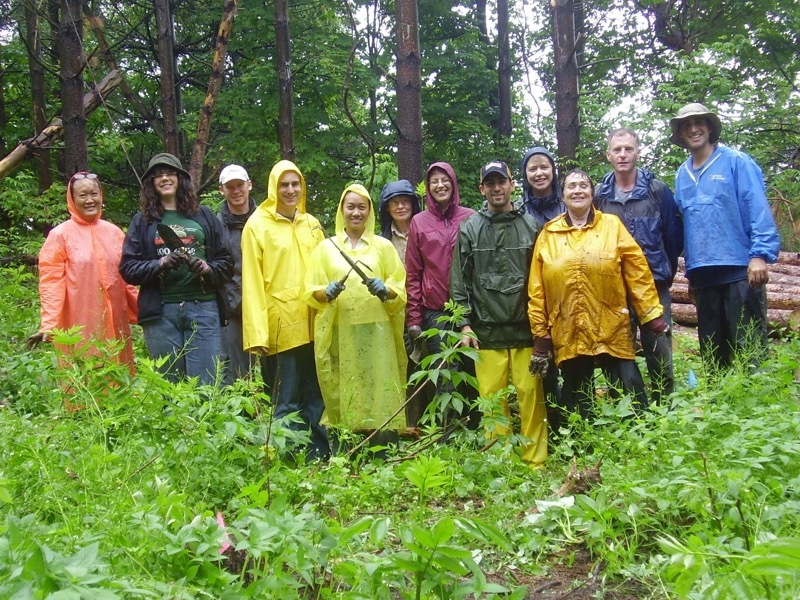 North-South Environmental led a multi-firm, multi-disciplinary team to evaluate and analyse Mississauga’s Natural Heritage and Urban Forest programs and policies. The overall strategic approach involved a City-wide “Green System” that recognized the value of all open space areas in supporting natural heritage and providing ecosystem services. A total of 26 Strategies addressing Planning, Management, Engagement and Tracking issues, as well as 30 Urban Forest Actions and a stand-alone Urban Forest management Plan were provided to the City. Recommendations for policy changes were also provided for eventual inclusion in an Official Plan Amendment to the City’s environmental and urban forest policies. 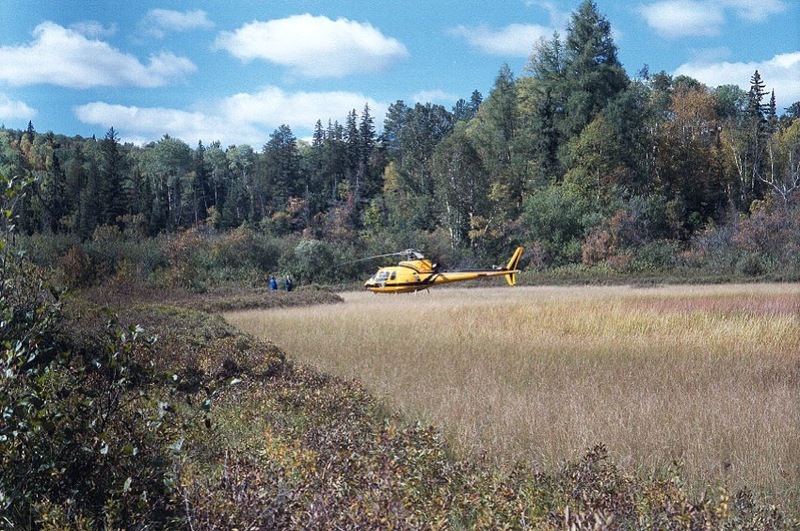 North-South Environmental Inc. was retained by the Ministry of Natural Resources to review and update the 1999 Natural Heritage Reference Manual in response to changes in the 2005 Provincial Policy Statement, as well as incorporate recent concepts and approaches to protection of natural heritage features. We produced the first two drafts of the revised manual, and re-organized it to reflect the increased emphasis on a systems approach expressed in the 2005 PPS. We subsequently advised MNR and responded to technical questions on subsequent drafts, and proof-read the final draft before its release in 2010. Among the several components in which NSE took a major role was the updating of information and current direction on appropriate buffers for various environmental features. Our recommendations on buffers build on the several literature reviews we had undertaken for previous projects. North-South Environmental was retained by the Region of Peel and the Town of Caledon to peer review background reports and site plans associated with an application for a dolomite quarry on the Niagara Escarpment in the Town of Caledon. 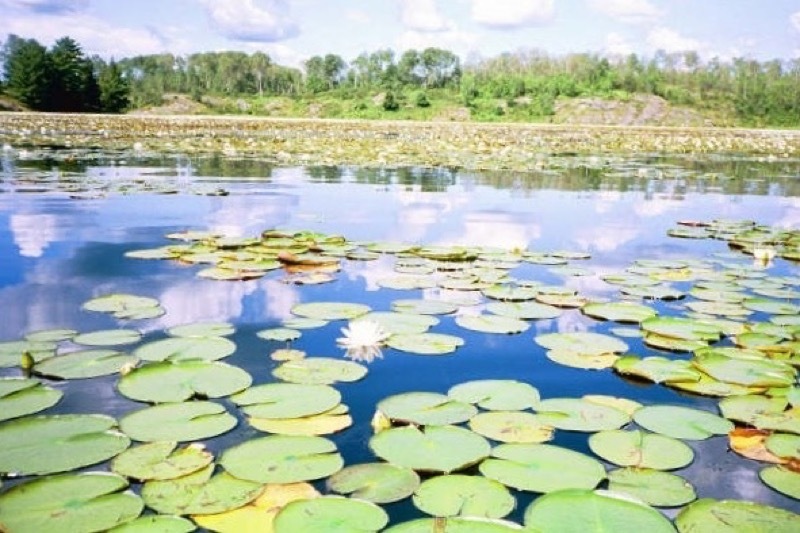 The proposed quarry had the potential to impact surface water dependant natural heritage features on adjacent lands, including Provincially Significant Wetlands, an ANSI and ESAs. We participated in extensive consultation and worked with the Region’s hydrogeologist and geological engineer to develop a full understanding of the risk of impacts to natural features. We subsequently provided evidence to the Ontario Municipal Board as experts in the field of ecology. North-South Environmental undertook a review of impacts focused on collisions between birds and cellular towers, but including impacts from habitat fragmentation and construction. We found that although there were reports of collisions with exceptionally tall communication towers used for television and radio broadcasting in some weather conditions, none had been reported for the shorter cell phone towers. We subsequently monitored cell phone towers on migratory birds during the 2004 migration season. In the course of 96 visits no dead birds were found in the vicinity of any of the 12 towers monitored. North-South Environmental worked with a team of landscape architects to develop a Trails Master Plan for the Rouge Park, Ontario’s largest urban park. We developed criteria to identify the most sensitive ecological features including vegetation communities, area-sensitive birds, and rare plants and animals. Our work provided input to trail type, location, design and construction, as well as the identification of interpretive materials and educational experiences. North-South Environmental was retained to undertake a reconnaissance level inventory of natural heritage features in a predominantly rural area within the Town of Aurora, to assist in the preparation of a Secondary Plan to guide future development. The assignment included inventory of features and, in conjunction with the planners, development of land use recommendations and Secondary Plan policies that would maintain the area’s natural heritage features. The project was completed in conjunction with Sorensen Gravely Lowes and the findings successfully defended in front of the Ontario Municipal Board. North-South Environmental developed the Terms of Reference for this 5 year study and led the completion of field studies. The program incorporated all Environmentally Significant Areas, as well as Areas of Natural and Scientific Interest (ANSIs) and Provincially Significant Wetlands. This entailed extensive field work including review of boundaries, compilation of fauna and flora species lists and delineation of vegetation communities. Findings were compiled into fact sheets describing the natural heritage of each feature. All areas were evaluated using designation criteria for ESAs and provincially significant areas. North-South Environmental worked with a hydrologist and fisheries biologist to provide extensive inventories of existing conditions within a 750 ha, largely rural sub-watershed leading to recommendations for a Secondary Plan encompassing approximately 10% of the area. The study team identified important components of the natural heritage system and measures for its protection; interactions with the ground and surface water systems; quantified the potential impacts of proposed development on environmental features (surface/ground water, aquatic/terrestrial resources, stream morphology, flooding/erosion); defined a post-development water budget; and recommended preliminary mitigation and restoration measures. 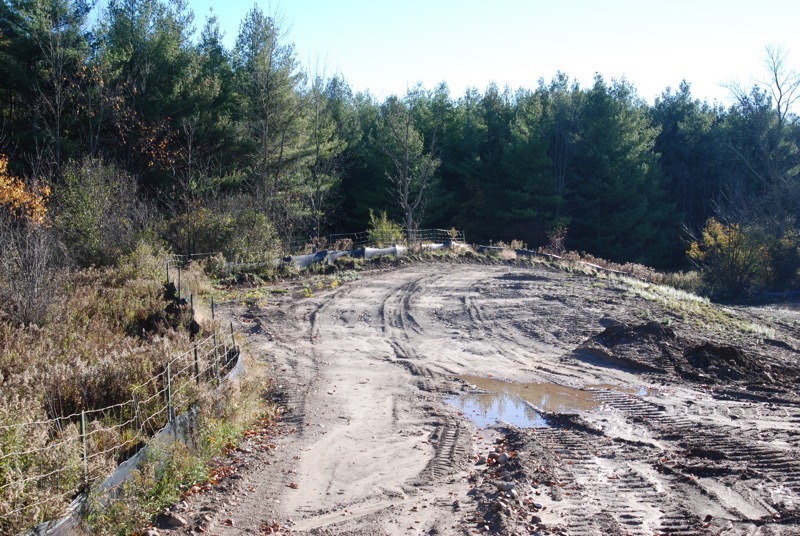 The study was overseen by a technical committee consisting of representatives of the Township of Centre Wellington, Grand River Conservation Authority and a representative of the public. This project took a proactive approach to secondary planning by conducting a full environmental assessment of a 200 ha site at the north end of the City of Guelph. The site embraced a major watercourse (the Speed River), a Class 1 wetland and steep valley slopes. Working with the planner, environmental constraints were identified and used to develop a sensitive planning concept for the site. Approaches to development, including potential bylaw control, landscaping requirements and construction methods were recommended and provided as secondary plan policies. 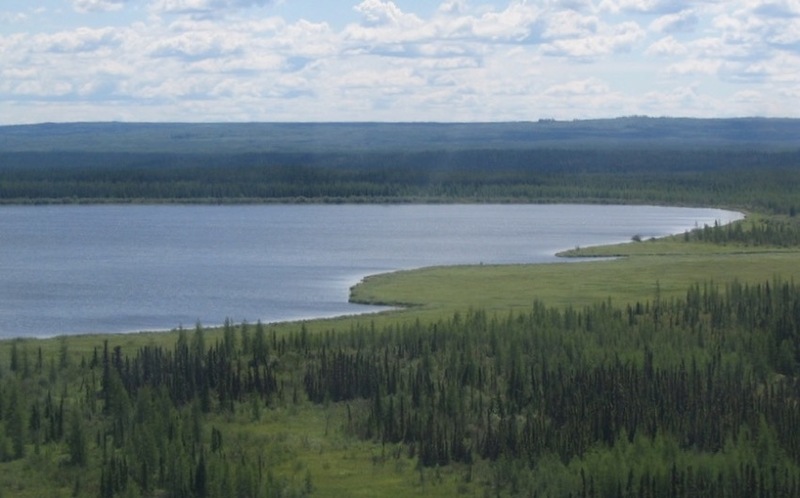 NSE subsequently completed scoped Environmental Impact and Environmental Implementation Studies for several developers for these lands, and monitored environmental features throughout the construction phases. A comprehensive environmental assessment of this 80 hectare site containing two watercourses and a wetland feature was undertaken. An initial constraints analysis was undertaken to provide guidance to the planners and engineers to avoid potential impacts to environmental features. Subsequent concepts for a residential development were evaluated and refined. The final report provided detailed inventory of landform, soils, flora, fauna, with special attention to fisheries and the role of the wetland. Net impacts were identified and mitigation measures recommended. NSE subsequently completed several Environmental Impact and Environmental Implementation Studies for several developers for these lands, and monitored environmental features throughout the construction phases. Implementation of the EIS recommendations included the design of a rehabilitation plan for a watercourse and wetland, and input into naturalization around storm water management facilities. This project is typical of the many EIS projects we have undertaken. NSE staff worked with a planner, hydrogeologist and engineer to assist in designing a development concept for this 18 ha property. 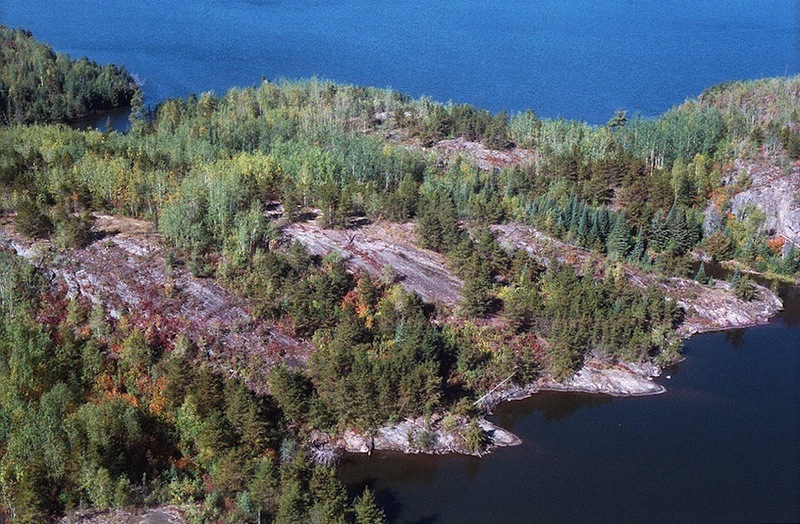 The site supported significant woodlands, a Provincially Significant Wetland, a cold water creek and significant slopes, and was included in the City’s Natural Heritage System. A full biophysical inventory and analysis was undertaken and development limits were determined. We then worked with the planner to develop a plan of subdivision that respected Provincial and local policies. The EIS was reviewed by the local Environmental Advisory Committee, City and Grand River Conservation Authority and the draft plan was approved. A Natural Heritage Evaluation was conducted within an area that included portions of the Oak Ridges Moraine and Greenbelt that contained Significant Wildlife Habitat and habitat for aquatic and terrestrial Species at Risk. Individual and cumulative impacts of development proposals were analyzed and mitigation was proposed that supported development while retaining the integrity of the property’s forests, wetlands and watercourses. 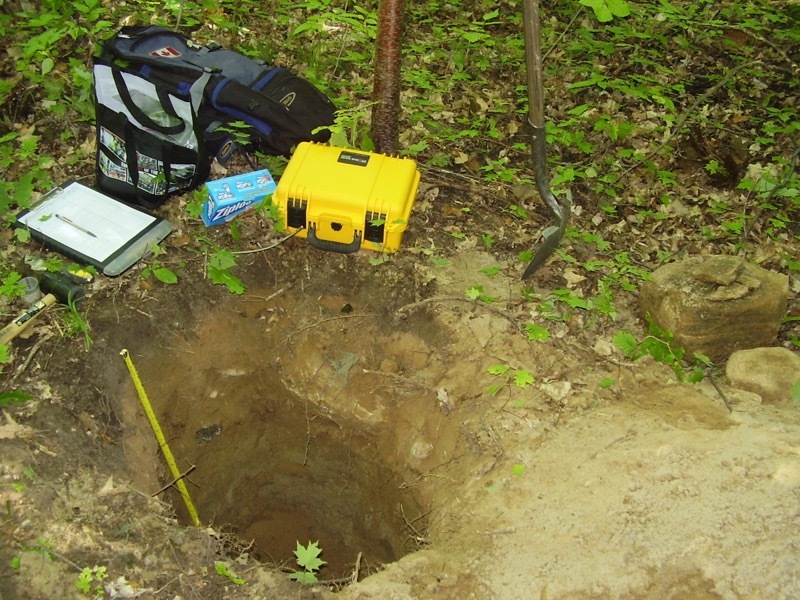 NSE staff have undertaken numerous studies to satisfy requirements for Natural Heritage Studies to meet requirements of the Oak Ridges Moraine Conservation Plan. The projects have ranged from Secondary Plans (Harris Beech Secondary Plan, Richmond Hill), parks (Aurora Eco-Park) to applications for additions to private residences. In all cases, the focus is on meeting the reporting requirements specified in Section 32(1) of the ORMCP, and providing a thorough analysis of policy conformity. This has entailed identification and delineation of Key Natural Heritage Features and working with engineers, architects and applicants to ensure that proposals meet the intent of the Conservation Plan. A Municipal Class Environmental Assessment (EA) was required to determine the most appropriate design to stabilize the slope along a portion of Pottersburg Creek, where severe bank erosion had compromised the stability of the bank and safety of the adjacent residences. North-South Environmental completed the terrestrial environmental investigations and prepared an Environmental Impact Study (EIS) in support of the EA within a multi-disciplinary team. The EIS characterized the terrestrial and aquatic components, assessed impacts of the proposed slope stabilization works and recommended mitigation and restoration strategies. NSE supervised the removal and transplanting for Willow-leaf Aster to mitigate impacts to Species at Risk within the construction footprint of the Windsor-Essex Parkway. 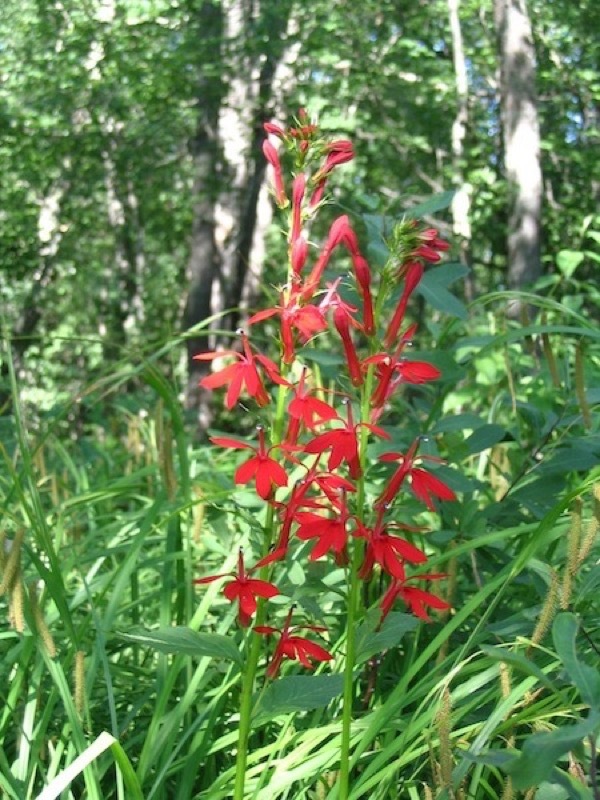 We subsequently assisted with planting of this and other Species at Risk at restoration sites, and conducted post-planting monitoring of sites supporting prairie species and the transplant sites. We also assisted with the review, and undertook consultation with MNR, regarding Provincially Significant Wetlands within the highway right-of-way. NSE completed an Environmental Impact Study and Natural Heritage Evaluation (NHE) for a proposed Eco-park in the Town of Aurora consisting of soccer pitches, a network of nature trails, and wildlife habitat restoration sites adjacent to a tributary of the East Holland River. We completed breeding bird surveys, summer and fall vegetation inventories, and delineated the boundary of the Provincially Significant Holland River East Branch Wetland Complex with the MNR. The NHE was completed as a requirement of the Oak Ridges Moraine Conservation Plan. 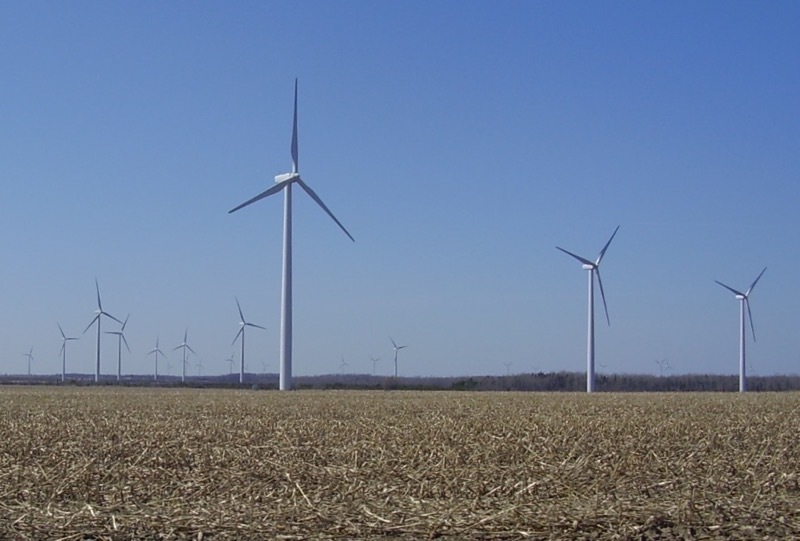 North-South Environmental worked with an engineering firm on this project just north of Grand Bend, Ontario. Through consultation with MNR we developed protocols for conducting surveys for Significant Wildlife Habitat and Species at Risk, including winter raptors, migratory waterfowl (particularly tundra swans), breeding birds (including surveys for nocturnal and diurnal Species at Risk), migratory landbirds, Ecological Land Classification (ELC), wetlands and flora. We reported the findings of surveys for submissions at all stages of the projects (Records Review, Site Investigations, Evaluation of Significance and Impact Assessment), as well as contributing to other required reports for this project. We also assisted with addressing peer-review comments. The NHA has recently received approval from MOE. In 2003, we completed a comprehensive review of the potential impacts of cellular communication towers on the natural environment for Telus Mobility. 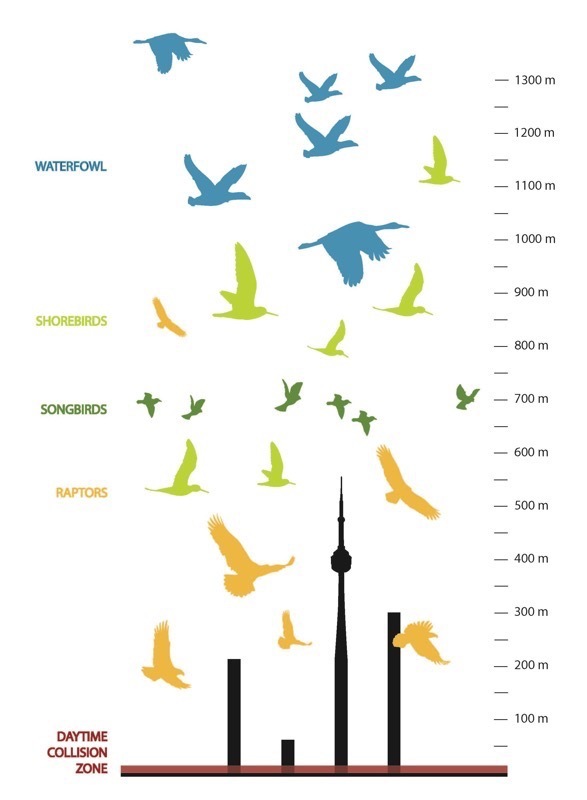 Subsequent to this we undertook a monitoring study to determine impacts to migrating birds, that was specifically directed at the types and locations of towers used by Telus. Subsequently we have undertaken site-specific environmental assessments of proposed towers for Rogers Communications, Telus Mobility, Bell Mobility and WIND Mobile, including suggestions for design modifications to minimize impacts. NSE staff assessed the terrestrial and wetland features for three separate proposals for solar energy generation. All sites had potential for species of open habitats and provided connectivity among adjacent natural heritage features. We assessed potential impacts from installing the solar arrays with special attention to Species at Risk. As final report was provided that met policy requirements for natural heritage and supported the three applications. North-South Environmental conducted reconnaissance assessments of terrestrial and wetland areas on for a proposed Wastewater Treatment Plan and then conducted detailed surveys of the preferred site. A complex policy analysis was required with regard to constraints on the site because the site fell under both federal and provincial jurisdiction. We provided the analysis and conclusions regarding Species at Risk, Provincially Significant Wetlands and Significant Wildlife Habitat required for reporting. 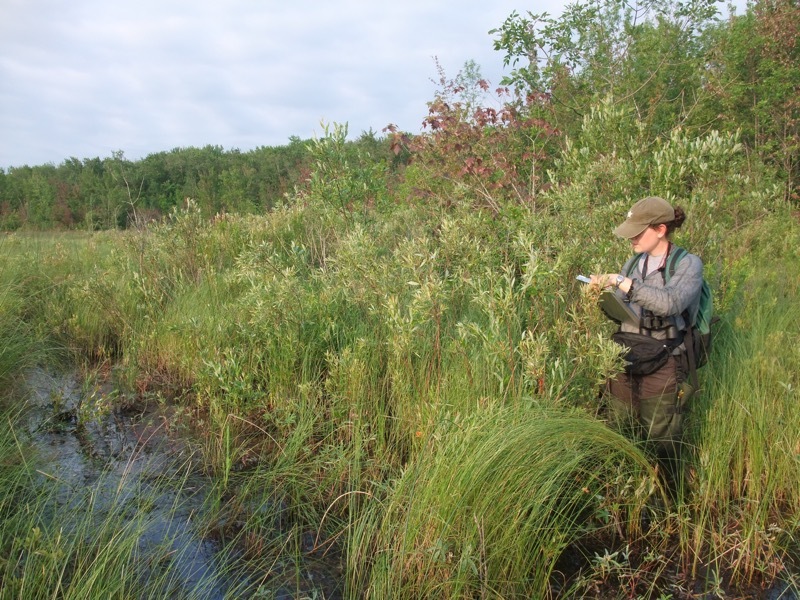 Two years of comprehensive baseline wildlife, fisheries, and botanical inventories undertaken to evaluate nine wetlands and their intervening uplands at Atomic Energy of Canada’s property at Chalk River, Ontario. Subsequent surveys of fauna and flora were conducted in a 20 km radius around three nuclear power plants: AECL in Ontario, Point Lepreau in New Brunswick and Gentilly in Quebec. These surveys were conducted to assist in ecological effects assessment and ecological risk assessments for the three plants. North-South Environmental has worked with the Regional Municipalities of Halton and Niagara to update their Environmental Impact Study (EIS) guidelines. The updates conform to each Region’s Official Plan, the 2005 Provincial Policy Statement and the Greenbelt Plan. Stakeholder involvement included consultation with the Conservation Authorities, local area municipalities, and the NEC. We undertook previous review and update of Halton’s EIA guidelines in 1993, which included a review of the effectiveness of EIA recommendations in protecting natural heritage features. 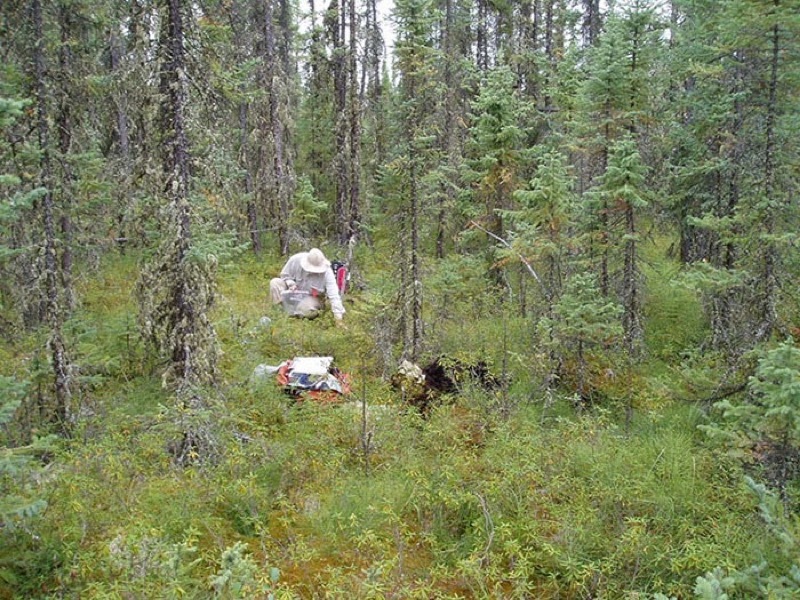 North-South Environmental was part of a team that identified and protected federal and provincial Species at Risk during surveys for unexploded ordnance. We provided full time supervision of all activities in the field, identifying and flagging Endangered and Threatened plant species and developing plans for their management during the surveys. 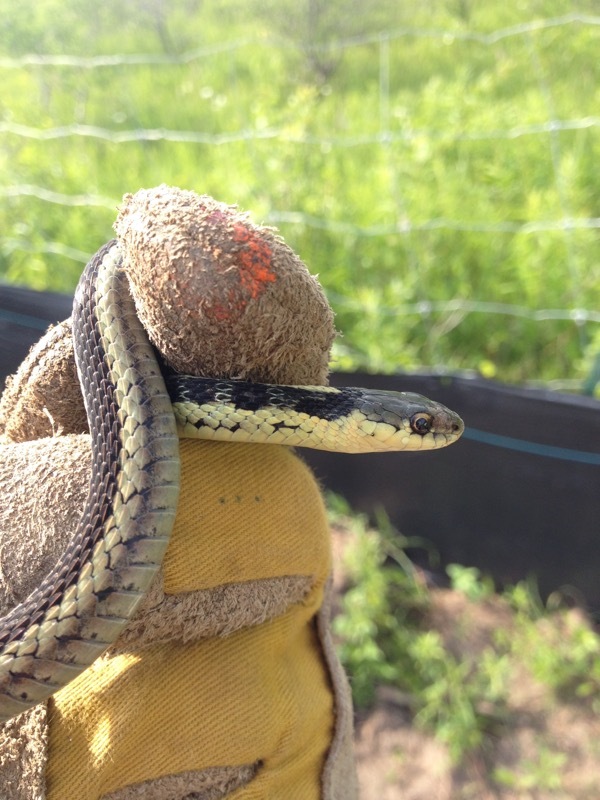 We also identified several snake, turtle and bird Species at Risk at Ipperwash, during incidental surveys of their habitat, and entered into discussions of how habitat for these species could be protected during future phases of the project. NSE staff undertook this ambitious project in 1995. It was initiated with the identification of candidate natural areas and determination of known information in order to prioritize field work. Criteria were developed and approximately 140 areas were identified. A public survey was also conducted to ascertain the degree of public support and commitment for the protection of natural features in the City. All candidate areas were subsequently visited to inventory and evaluate candidate sites. The final product included compilation of data on each area, creation of a database to enable monitoring and mapping of area boundaries and vegetation communities within a GIS system. A final report documented the entire process and provided and strategies and guidelines for the long term protection of Mississauga’s remnant natural features, as well as a framework for Official Plan policies. 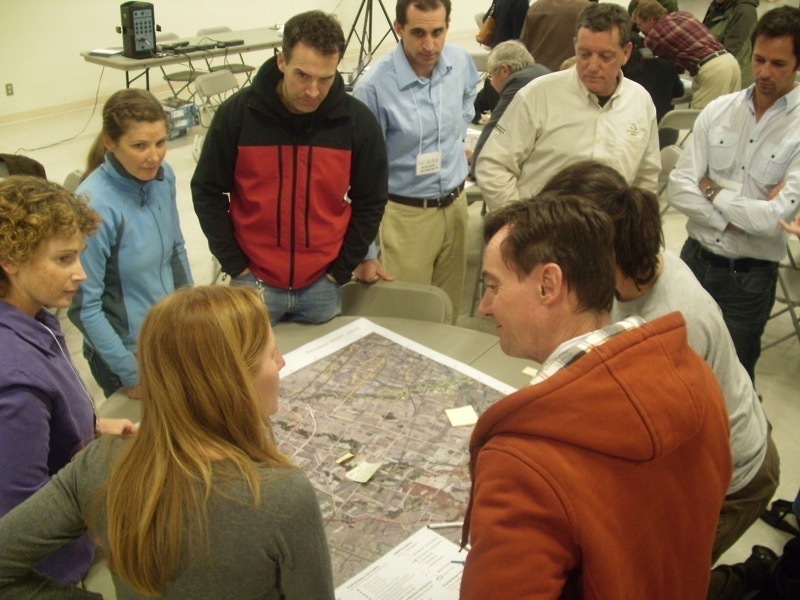 The NAS is still the primary source of information used by the City’s park planners for plan review, determination of management needs and identification of restoration/enhancement opportunities. This project identified management and restoration needs for the 1500 ha Seaton Natural Heritage System. It built on the Central Pickering Development Plan that we assisted with in 2005. The study area was classified into Management Units which served as a basis for identifying management needs and restoration prescriptions. The project involved an extensive review of existing data and identification of sensitive areas which fed into the development of a Trail Plan. We led a multi-firm, multi-disciplinary team to evaluate and analyze Mississauga’s Natural Heritage and Urban Forest programs and policies. The overall strategic approach involved a City-wide “Green System” that recognized the value of all open space areas in supporting natural heritage and providing ecosystem services. A total of 26 Strategies addressing Planning, Management, Engagement and Tracking issues, as well as 30 Urban Forest Actions and a stand-alone Urban Forest management Plan were provided to the City. Recommendations for policy changes were also provided for eventual inclusion in an Official Plan Amendment to the City’s environmental and urban forest policies. This two volume study provided a rationale for the delineation and protection of valued flora, fauna and representative features of the Park. It included development and testing of a monitoring scheme for rare plants, an annotated list of the 41 species of rare plants in the Park and mapping of most of those species at a scale of 1:3000. These data were used to assess the adequacy of existing zoning measures and recommend revised Zone 1 and E.S.S. boundaries that reflected the findings of the study. 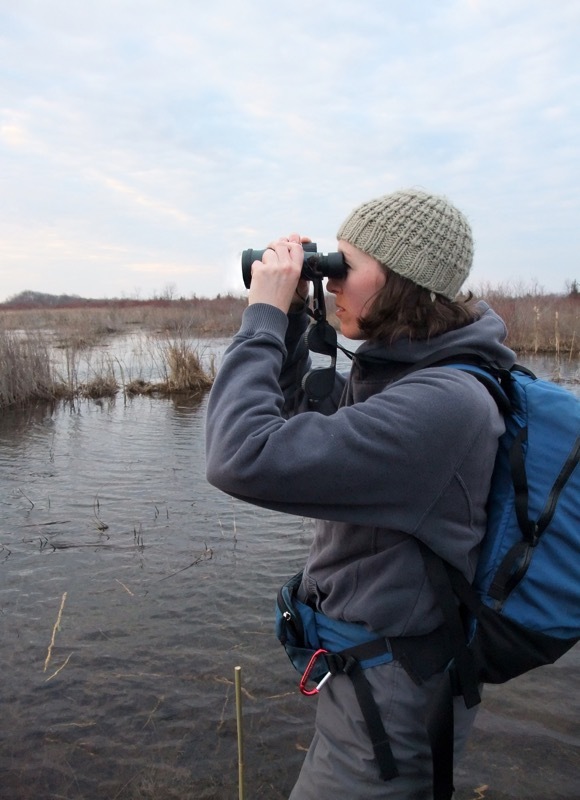 Breeding bird surveys and marsh bird surveys were conducted at 25 points within Point Pelee National Park as part of the long term monitoring of fauna in the park. Surveys were conducted according to Canadian Wildlife Service Forest Bird Monitoring and Marsh Bird Monitoring protocols, respectively. This project focused on updating the Vegetation Management Objectives (VMOs) developed by NSE staff in 1990. The potential conflicts between Species at Risk needs and the 1990 VMOs were identified and discussed. One of the primary questions was: Have the management actions initiated by the Park over the last 13 years been sufficient to achieve the 1990 VMOs? This included consideration of removal of infrastructure, rehabilitation initiatives, removal of exotics, monitoring of progress, etc., all of which may contribute to achieving the existing objectives. A 2-day workshop involving vegetation experts from across Ontario and adjacent states was held to explore management issues and appropriate prescriptions. The 1990 VMOs were critically reviewed and, along with the workshop results, used to develop a new set of management objectives. 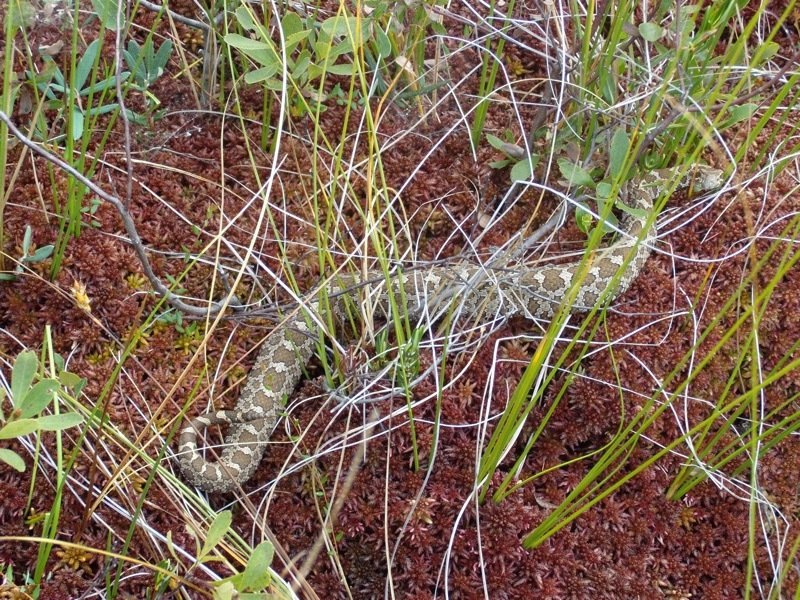 This project entailed detailed surveys to map gestation habitat and hibernacula for Eastern Massasauga, as well as to conduct detailed monitoring of a population of a threatened flora species: Branched Bartonia. Potential habitat was identified using aerial photographs and prior records of these species. Field visits were then undertaken to determine species was presence and whether the habitat corresponded to published accounts of habitat preferences. Physical parameters associated with Branched Bartonia habitat, such as water pH, soil characteristics and dominant plant species cover were sampled. 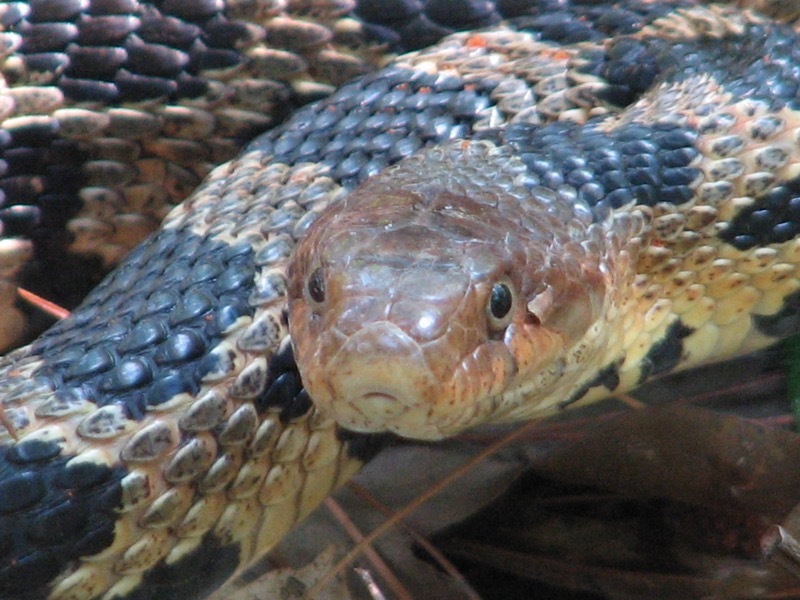 Incidental information on other Species at Risk was collected, including Spotted Turtle, Blanding’s Turtle and Five-lined Skink. 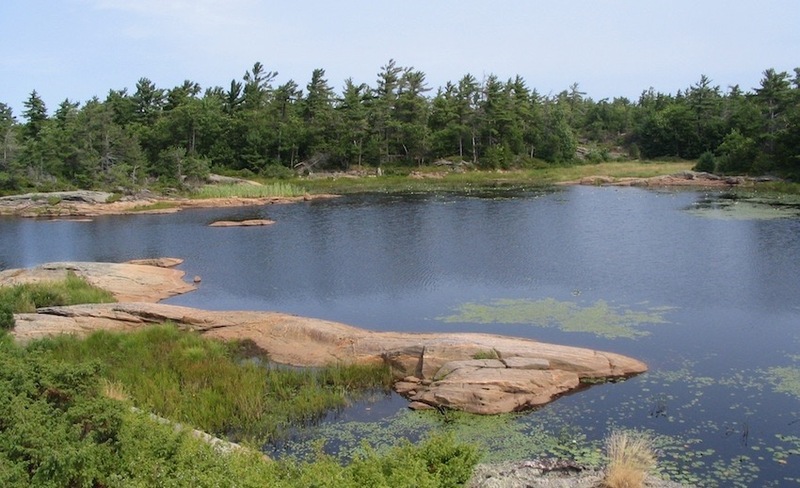 The purpose of this project was to inventory life science features adjacent to Killarney Provincial Park to provide a better understanding of ecological features and functions and facilitate evaluation of a proposed addition to the Park. 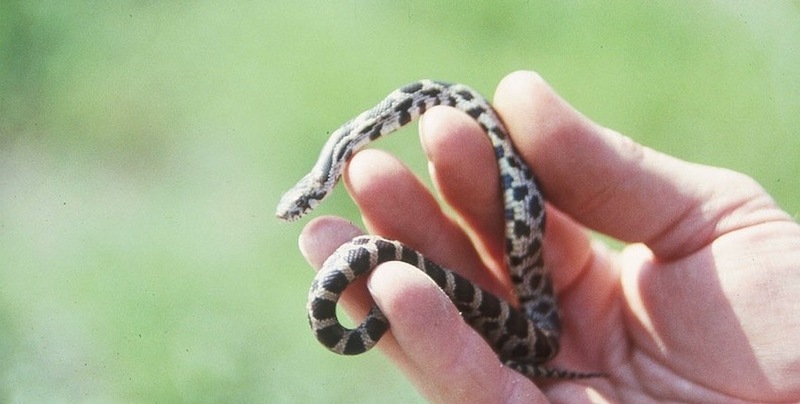 Inventories included vegetation, breeding birds and herpetofauna. Species at Risk (both flora and fauna) were particularly highlighted and habitat identified. Vegetation was mapped according to Forest Ecosystem Classification (FEC) protocols, combining Forest Resource Inventory mapping, aerial photo interpretation and ground-truthing. Ecological significance was determined to establish ecologically sound and defensible boundaries. The report described, evaluated and mapped terrestrial features to provide a framework to protect ecological integrity in core areas, harmonized with appropriate land uses in intervening lands. NSE staff worked on this Plan within a multi-disciplinary team comprised of a landscape architect, ecologist, urban forester, community facilitator, structural engineer and geotechnical engineer. 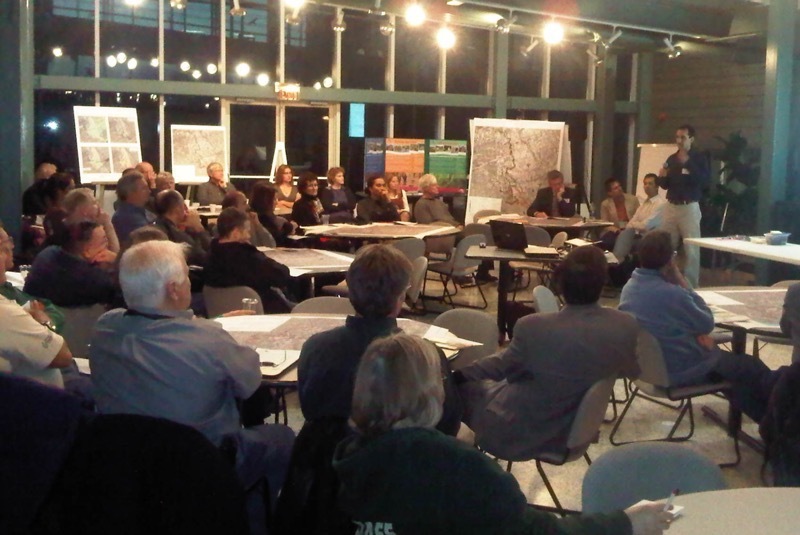 A key component of the study process included community consultation and education. We provided ecological expertise and participated in the public contact throughout the study. 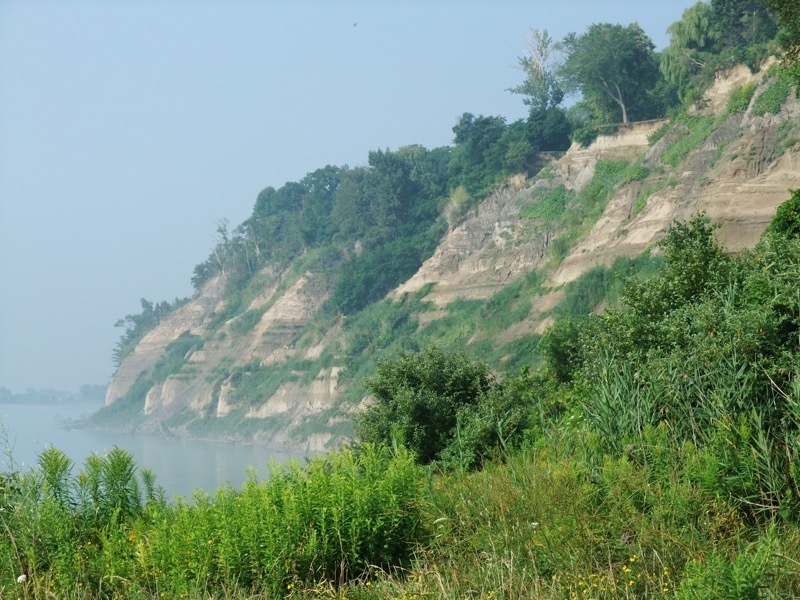 The study provided a physical description of the ravine in its current state and identified concerns identified on site through field observations and from community input. 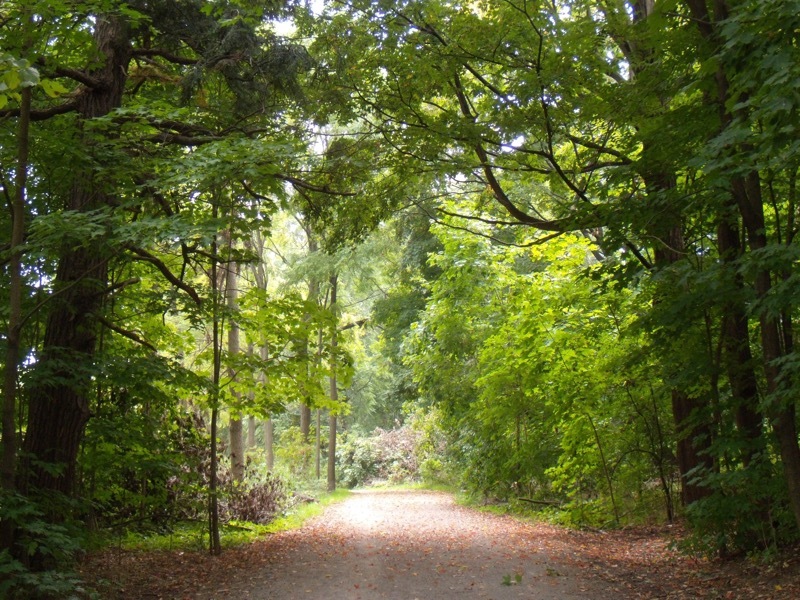 The Management Plan provided the City of Toronto with a strategic approach to manage use, access and recreation within the ravine as well as the risks associated with such uses. The Management Plan also provided direction for management of direct and indirect impacts associated with use on the ecology, stability and character of the ravine. The plan identified the potential roles and responsibilities of the various user groups who should have a stake in the sustainable management and use of the ravine environment. NSE staff developed a thorough understanding of the biophysical features of a 97 ha site straddling the boundary of the Towns of Newmarket and East Gwillimbury. The site includes a 17 ha Nature Reserve donated to the Region of York through an agreement with the Nature Conservancy of Canada. The significance and sensitivity of the site was assessed and short and long term management needs were identified. A fundamental finding was that as the surrounding land use evolved from rural to urban uses, primarily residential subdivisions, there will be an increase pressure placed on the site, with commensurate expectations of impacts. A trail system was developed in concert with Schollen & Company to mitigate these impacts by guiding use away from sensitive features while providing an enjoyable recreational and/or commuting experience. The Plan included management recommendations, cost estimates for implementation, identification of responsibilities of various stakeholders, a long-term administrative structure that incorporated citizen participation, and monitoring recommendations. This study involved an intensive 4 season inventory of an urban valley system to identify significant and sensitive features. This information was used to develop management recommendations that included permitted uses, a trail system and environmental restoration priorities. The project included a public participation component and survey to determine perceptions on appropriate uses. 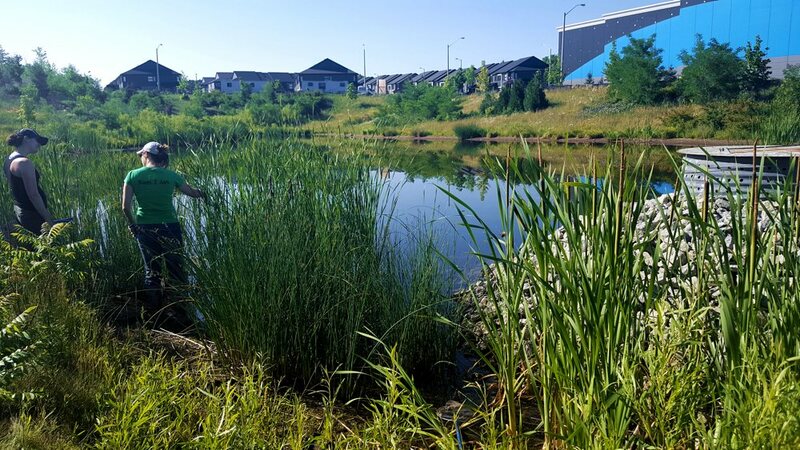 These studies initially focused on review of Provincially Significant Wetlands (PSWs), Areas of Natural and Scientific Interest (ANSIs) and existing Environmentally Significant Areas (ESAs) as part of the City’s 2006 Official Plan review. 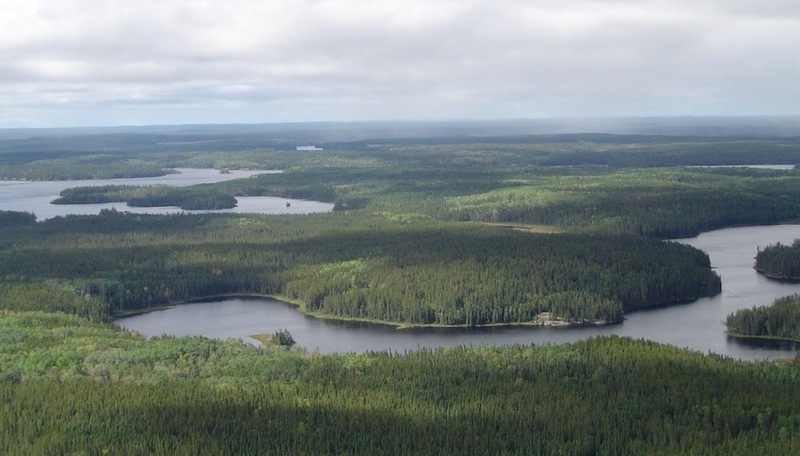 The study was conducted to ensure that the significant areas were correctly mapped and designated according to established Ontario Ministry of Natural Resources criteria. ESAs had been designated according to criteria established in the 1990s, and this study updated them using more recent (2002) OP criteria. Subsequent studies for the City identified and evaluated “potential” additional ESAs based on OP criteria. This included detailed field surveys of over 100 natural areas within the City. Reports included a summary of the overall findings, species lists, delineation and review of vegetation communities, and compilation of all information into a fact sheet for each significant area. Final recommendations were provided that noted whether the area met the criteria. Potential changes to the boundary mapping were investigated, and boundaries were subsequently refined, as part of each study. This three year study began with an analysis of the representation of the Park with respect to Parks Canada’s Natural Regions. It also involved an evaluation of human-caused impacts to vegetation through a comparison with the historic conditions and with natural areas outside the Park, and an identification of issues which currently impact on the Park’s vegetation. A goal and objectives for each of the main vegetation communities in the Park were developed together with a description and projected condition of each of the major vegetation communities. An operational vegetation management plan was then prepared with required actions, schedule for implementation, monitoring requirements and plan review protocol. 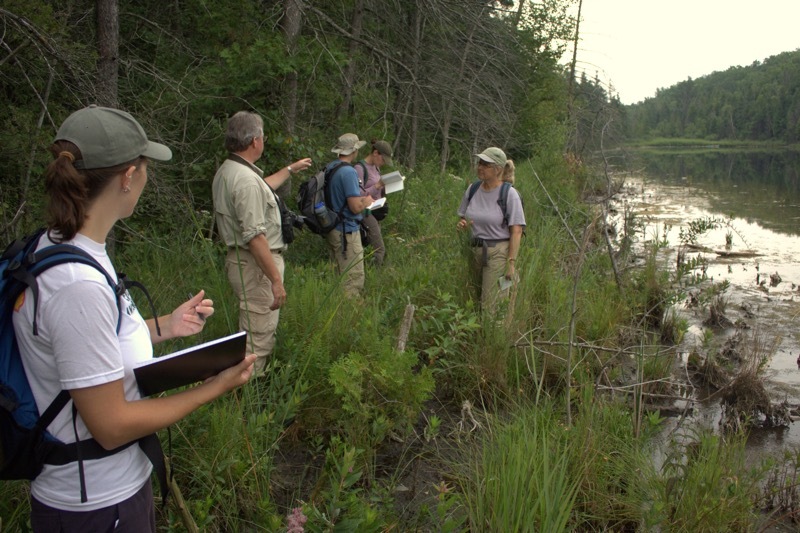 The NSE team conducted surveys for King Rail (a federally and provincially Endangered species) at 10 priority wetlands in Ontario according to Environment Canada protocols. 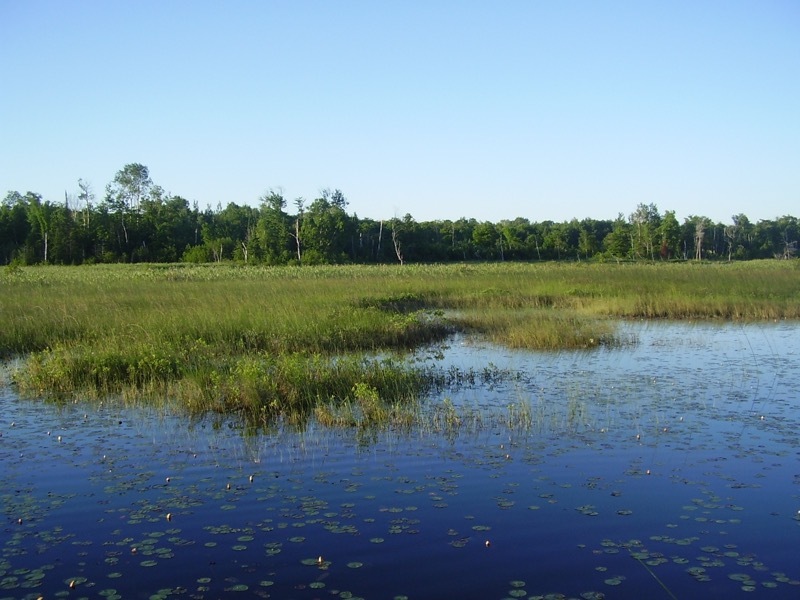 The surveys entailed three rounds of approximately 20 playback surveys/point counts in five wetlands each year. 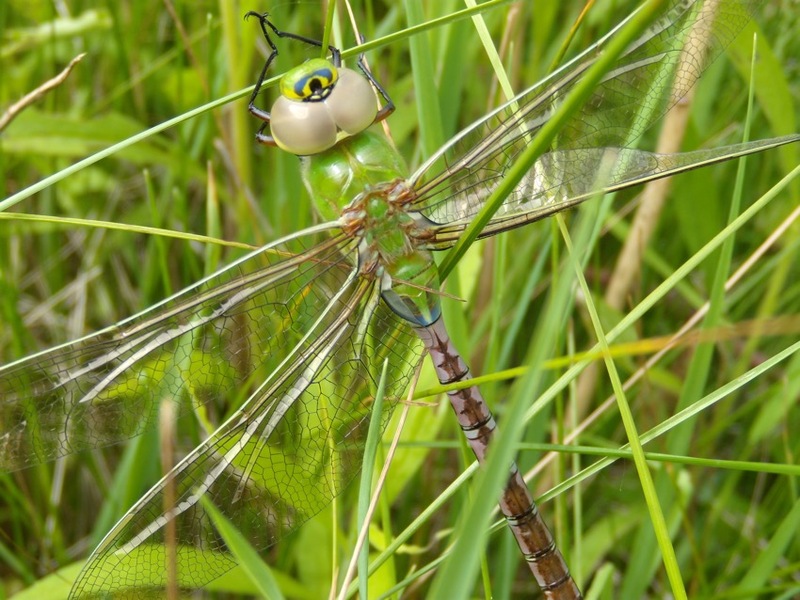 Extensive habitat information was collected, including information on plant species and structure and other Species at Risk and Ontario Marsh Monitoring target species. An extensive report discussed the survey results and the availability of suitable habitat for King Rail in southern Ontario. 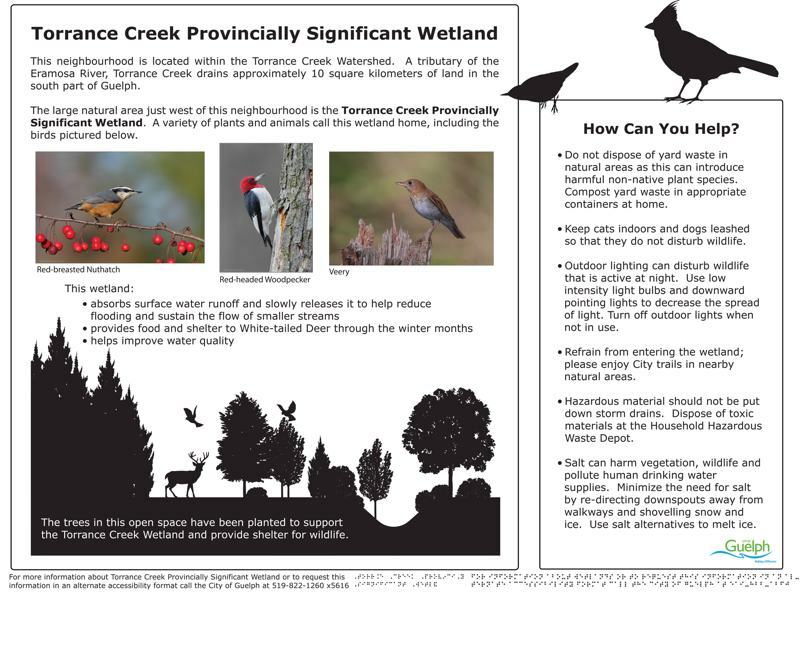 A breeding bird survey with 400 point counts was conducted according to Canadian Wildlife Service protocols in grassland habitat throughout the Credit Valley watershed, focusing on Species at Risk and Credit Valley species of Conservation Concern. Surveys were accomplished in a tight two-week time frame to collect sufficient information prior to harvesting in grassland Species at Risk habitat. NSE was retained by the Town of Aurora to undertake monitoring as part of conditions of draft plan approval for the development of three subdivisions in the Bayview Northeast Area 2B Secondary Plan area. The purpose of the monitoring was to assess the effectiveness of Best Management Practices associated with SWM ponds in relation to their quality control and their effectiveness in mitigating development effects. In particular, the monitoring included using benthic invertebrates as a ‘bio-indicator’ of ecosystem health. The results of the five year monitoring program will be used to inform the Town and the Lake Simcoe Region Conservation Authority of the performance of the SWM pond at mitigating impacts to the tributary of the East Holland River and the East Aurora PSW. 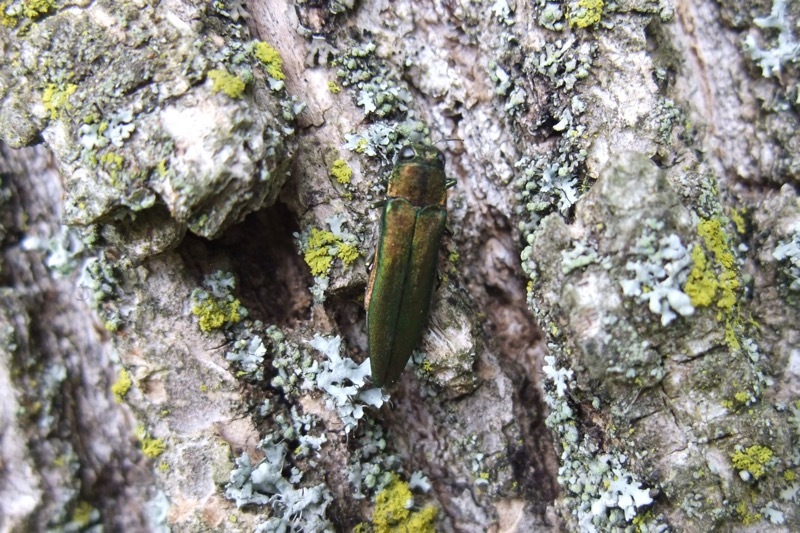 The NSE team completed a survey of ash trees in manicured parks and City-owned woodlands in order to assess if trees were infested by Emerald Ash Borer (EAB) as well as evaluate the potential hazards that may be caused by infected trees. Individual trees were assessed in parks whereas plots were established in woodlands in order to assess percent cover of ash and rate of infestation in woodlands. Treatment recommendations (remove, retain, treat, prune) were provided as well as recommendations for prioritizing parks and woodlands for management. NSE completed an Environmental Impact Study and Natural Heritage Evaluation (NHE) for a proposed Eco-park in the Town of Aurora consisting of soccer pitches, a network of nature trails, and wildlife habitat restoration sites adjacent to a tributary of the East Holland River. We completed breeding bird surveys, summer and fall vegetation inventories, and delineated the boundary of the Provincially Significant Holland River East Branch Wetland Complex with the MNR. The NHE was completed as a requirement of the Oak Ridge Moraine Conservation Plan (ORMCP) with consideration of the policies and intent of the ORMCP. Phase 1 of this study included creation of a comprehensive GIS database to assemble a digital data library, accurately geo-reference natural features and provide policy regulation information needed to meet the current and future planning needs of Vaughan. 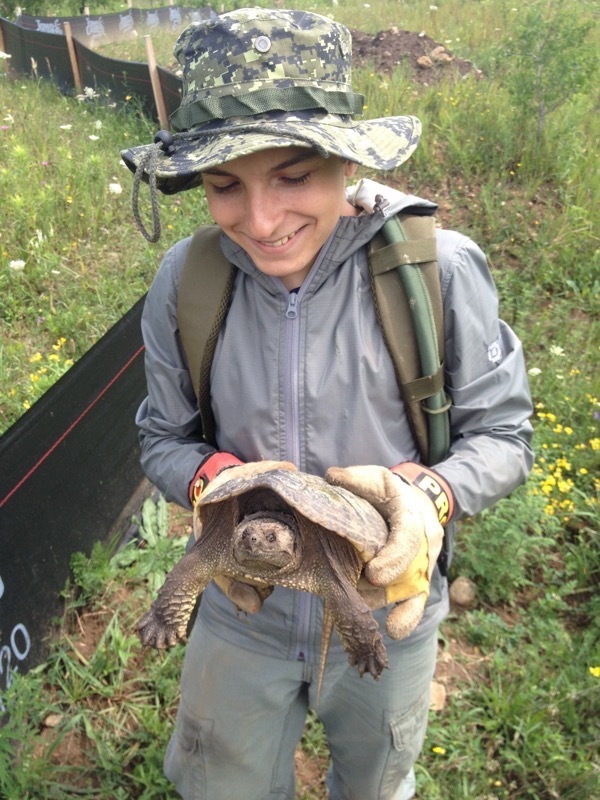 We subsequently developed Ecosystem Targets based on current science to identify a NHN with a goal to protect native biodiversity in Vaughan over the long term, consistent with the policies of the Greenbelt Plan, Oak Ridges Moraine Conservation Plan, York Region’s Greenlands, and the City of Vaughan Official Plan. The Phase 2 study included field surveys and GIS analysis to refine the boundaries of the NHN and fill data gaps. 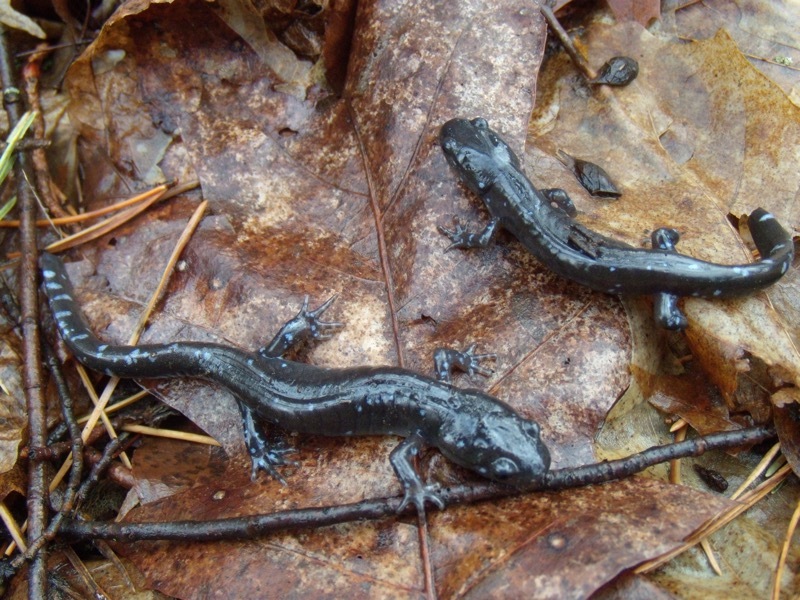 These surveys included manual call surveys for amphibians, breeding bird surveys, and Ecological Land Classification of rare vegetation communities. The objective of this project was to create a geographically based inventory of 50,000 trees and associated attributes compatible with the City’s existing GIS tree management system. NSE worked as part of a team of ISA Certified Arborists to inventory trees owned by the City within its boundary. The data will be used by the City to manage the street trees of the urban forest and determine priorities in managing Emerald Ash Borer and other urban forest threats. The purpose of this study was to evaluate the environmental significance of a 150 ha remnant natural area in the City of Kitchener and assess its feasibility for an outdoor education centre. A prime directive of the study was to ensure that the ecological integrity of the site was not compromised and that its natural features will persist in the long term. An ecosystem management plan was developed which identified appropriate uses and limitations of each of the 49 biophysical units on the site. Location for an outdoor education facility, an education program and a recreation program were proposed in keeping with the long term objective. Recommendations were provided to maintain and restore the ecological integrity of the site. This study integrated findings of a multidisciplinary team hydrology, terrestrial features, fisheries biology, water quality and palaeolimnology assessments. 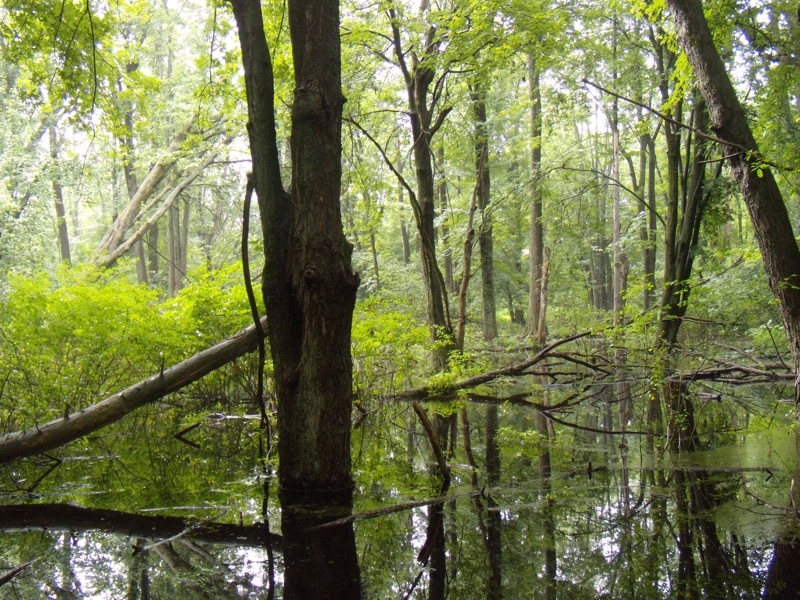 The focus of these studies was the confirmation and cause of changes in wetlands since 1981. NSE undertook an analysis of environmental features and ecological functions within the site and provided recommendations for management zoning. Vegetation classification and detailed inventories of flora and fauna were undertaken through three-season inventories. Management zones for the northern part of the ESA were based on zoning criteria drafted by NSE for the City of London. Recommendations for management included consideration of habitat for significant species, control of non-native species, improvements of surface water and control of non-native species using non-pesticide means. 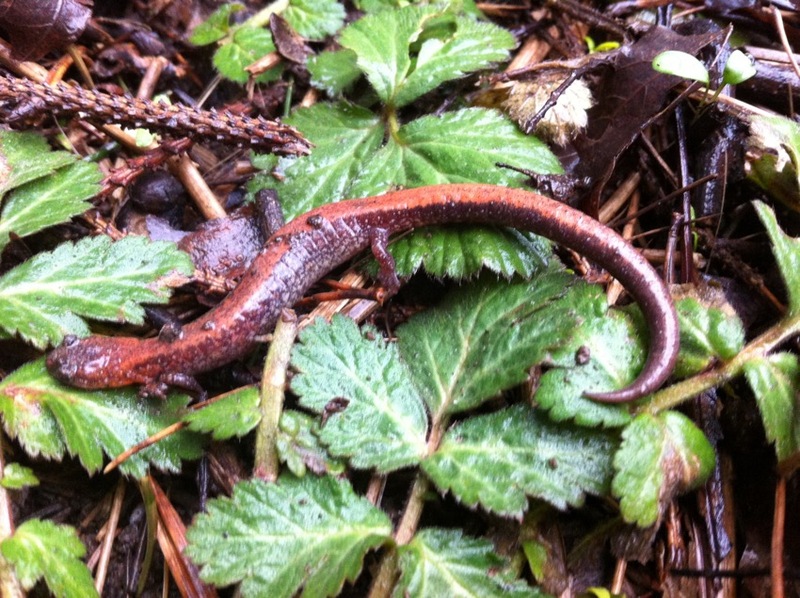 North-South Environmental conducted a long-term monitoring program to assess the effectiveness of mitigation of impacts of urban development on the amphibian community at a 23 ha property. 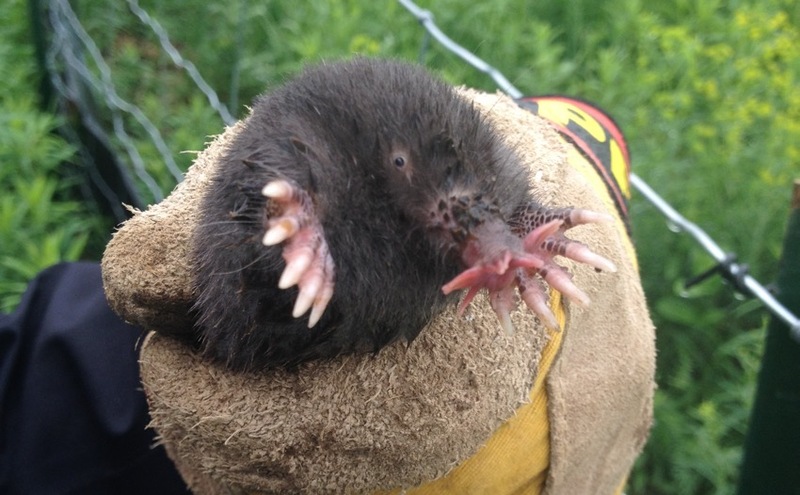 A key mitigation measure is the maintenance of a 75 m wide wildlife corridor designed to facilitate amphibian movement between a wetland and nearby natural areas. Two ACO Polymer Products AT500 wildlife crossing structures are proposed as part of the corridor – the first approved installation in an urban setting in Ontario. The monitoring program includes: a drift fence/pitfall traps to capture and mark adult amphibians as they enter or leave the wetland; mortality surveys on an existing adjacent road to the north of the wetland; and Visual Encounter Surveys to capture and mark adult anurans at five other areas of amphibian habitat located adjacent to the lands to be developed. 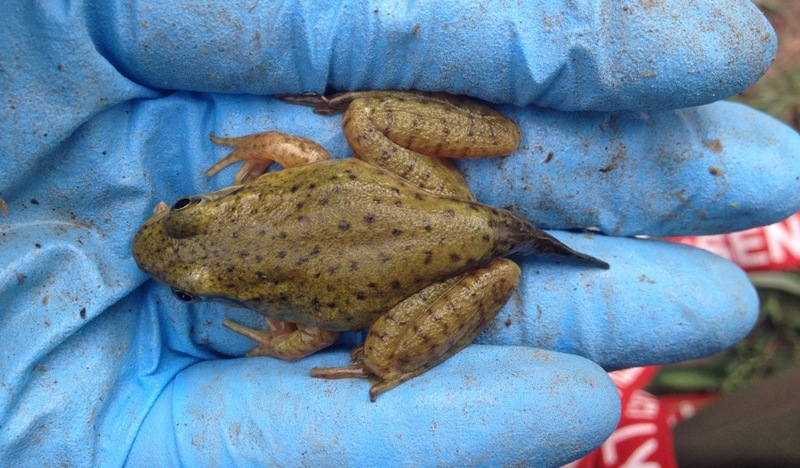 Baseline monitoring completed in 2013 involved the capture and marking of more than 4,300 frogs and toads and revealed patterns of amphibian movement and dispersal within the subject property under pre-development conditions. Monitoring will be completed during the construction period (initiated in mid-April, 2014) and continue for at least two years post-construction. This three part study was initiated with a thorough review of existing plant monitoring programs and research on the causes of rarity in plants. An investigation of patterns of rare plant species biology was then undertaken to determine the practicality of a monitoring scheme based on biological characteristics. A key requirement of the guidelines was that they be suitable for implementation by volunteers with varying levels of expertise. 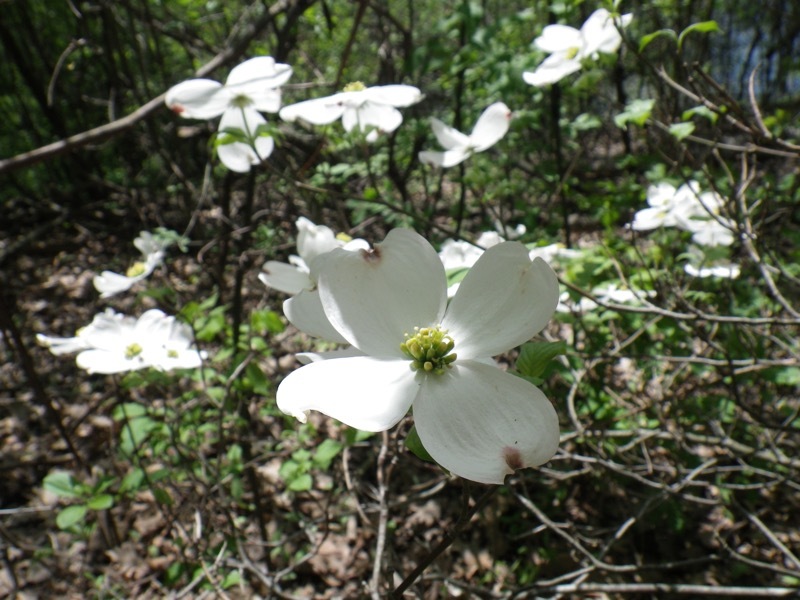 The second phase of the study involved testing the proposed monitoring protocols using three different “types” of plants at three different sites, using volunteers who had no previous involvement with the study. The field results were evaluated and the protocols refined. The final results were presented in a format suitable for a producing a handbook for monitoring rare plants. 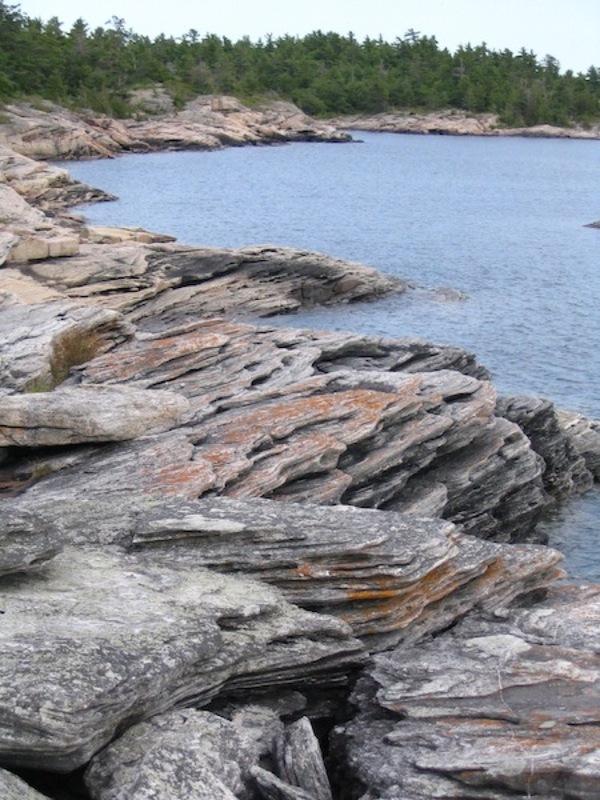 For this study, we used existing information to survey and map rare plants at Georgian Bay Islands National Park (GBINP). 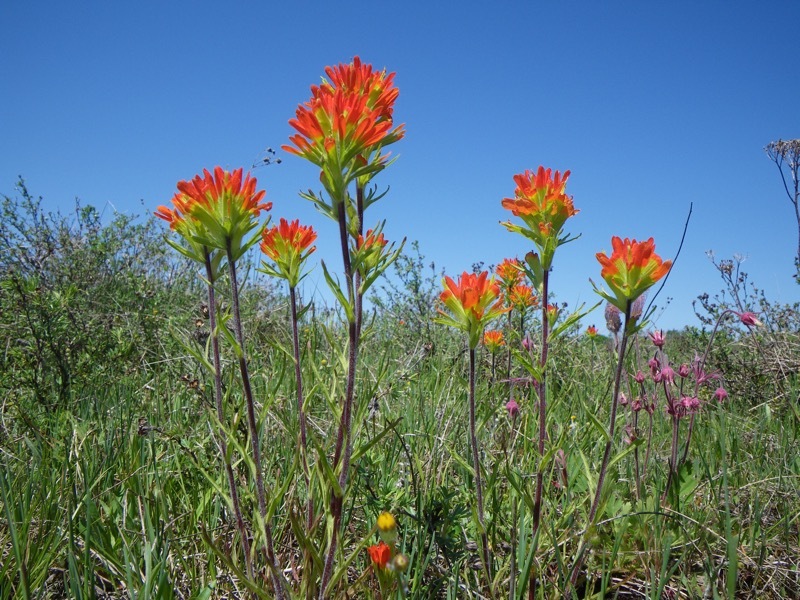 Additional field work revealed numerous new stations for rare plants in the Park. These plant distributions served as a baseline for future monitoring. A monitoring program was subsequently developed which prioritized monitoring based on in-park species rarity and threats so that unnecessary time was not spent monitoring species that were secure in the Park. The final product included field monitoring forms, a ten year monitoring timetable, a spreadsheet design for entering data, and instructions to statistically summarize and analyze trends to evaluate the need for management. NSE staff have monitored the condition of natural areas in the City on an annual basis since 1996. Natural areas are visited to inventory flora and fauna, identify refinements to boundaries, document impacts, and identify management issues. A review of recent environmental studies and EIS documents is undertaken to extract inventory data and identify any encroachments into natural areas. Boundary changes are mapped through liaison with City of Mississauga GIS department and Planning and Building Department. New data are entered into the Natural Areas database, which provides an accessible source of ecological information for each Natural Area. Overall trends in biodiversity and condition are summarized in text and statistics, including updated Floristic Quality indices. A final report is produced including all tables, results, discussion, conclusions and management recommendations, as well as updated natural area factsheets. Initially, NSE staff undertook a literature review to summarize information on riparian ecosystems, particularly the use of faunal indicators for assessing the health of riparian zones. 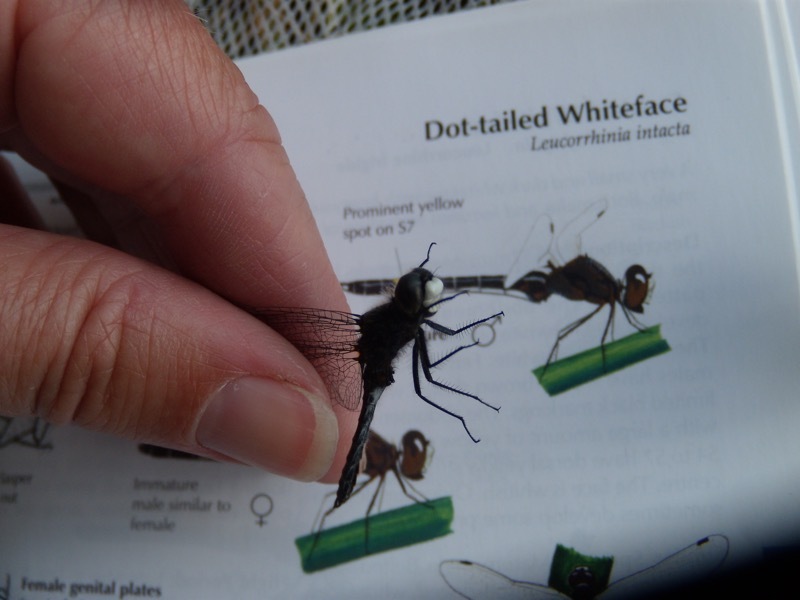 The review was followed by a field component, conducted with the help of Dr. Henry Frania (entomologist at the Royal Ontario Museum), to test the efficacy of preliminary indicators selected on the basis of the literature review. It included dedicated surveys for several insect taxa such as ground-dwelling beetles, ants, sucking bugs and odonates, which are highly dependent on riparian habitat. Surveys for other taxa were conducted as incidental to invertebrate surveys, including surveys of birds. Statistical analyses were conducted to determine whether the relationship between organisms and their habitat was sufficiently defined to recommend them as long term monitoring indicators. This Environment Canada project evaluated existing ecological monitoring variables from a variety of sources to select a suite of about twenty-five core variables suitable for monitoring at the Ecological Monitoring and Assessment Network’s (EMAN) Ecological Science Cooperative (ESC) sites located across Canada. The intention was to acquire relevant and consistent data on ecosystem change to establish national trends and deviations from environmental norms. While the causes of departures from normal may not be immediately apparent, the results should serve to alert researchers that there is a need for critical examination of the changes observed. For the selected core monitoring variables, protocols for data acquisition, storage and analysis were developed and presented in a methods handbook. Owing to the protection of Ecological Integrity being identified as part of the legislated mandate of Parks Canada, it is essential that monitoring and subsequent management responses to monitoring be embraced as part of the core activities at Point Pelee (and other national parks). 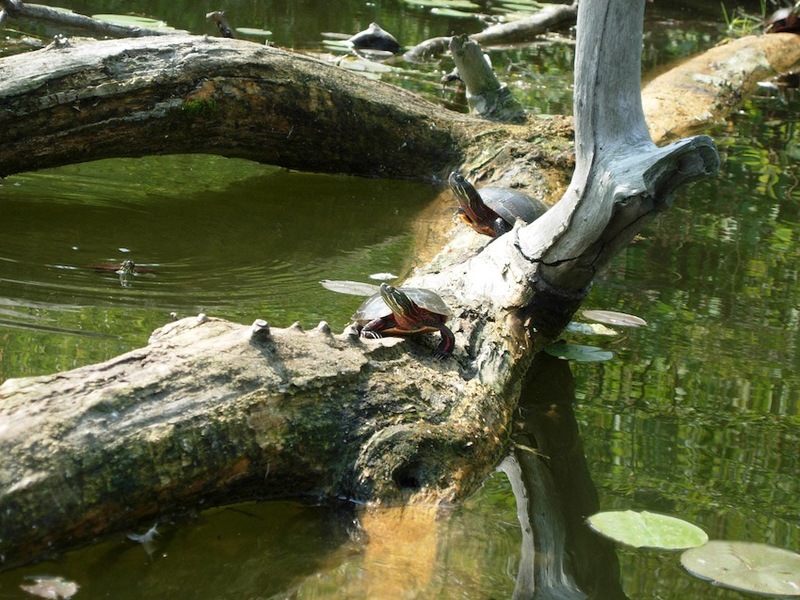 This project involved the development of detailed protocols to initiate monitoring of a subset of ecological integrity indicators recommended for Point Pelee NP. The challenge in this project was to reconcile the monitoring needs of individual parks across Canada with the legislated requirements to report on the State of the Parks at the national level. Since the parks span the full range of Canadian geography, their needs, the stresses they are subjected to, and the appropriateness of indicators confounds the imposition of a uniform set of monitoring parameters. The final product, for Parks Canada’s Natural Resource Management Process Manual (Chapter 10), recommended an organizational structure for addressing the problem that would essentially develop core variables for application at the national scale but with flexibility for incorporating park-specific needs. The report included a bibliography on ecological monitoring, notes on the organization structure for facilitating monitoring and procedures for individual parks to assess their monitoring needs (setting objectives, collection methods, selecting attributes, sampling frequency and location, data analysis and management, training, reporting, identifying the need for action in response to monitoring and evaluation of the monitoring program). This study presented a framework for a long term monitoring framework for Ontario Parks. The framework provided guiding principles, a goal, objectives and three main components: ecosystem monitoring, stress monitoring and compliance monitoring. The ecosystem monitoring followed an approach that included generic indicators for ecological systems, social systems and economic systems. The report included discussion of the MNR context for monitoring, underlying concepts and various aspects of implementation (indicator selection, site selection, administrative framework, etc.). A primary issue facing Ontario Parks was that there is a plethora of information collected on Ontario Parks, but that it was being collected by many different agencies, at different scales, using various protocols, and was not always readily available. This information would be useful to Park and head office managers for monitoring. Working with Cuesta Systems Inc., a conceptual Information Management Framework was developed to show how data could be organized and stored such that it was available to the staff that required it, while protecting sensitive information and maintaining quality control. Recommendations for modifying existing inventory guidelines to make them more suitable for long term monitoring were also provided. 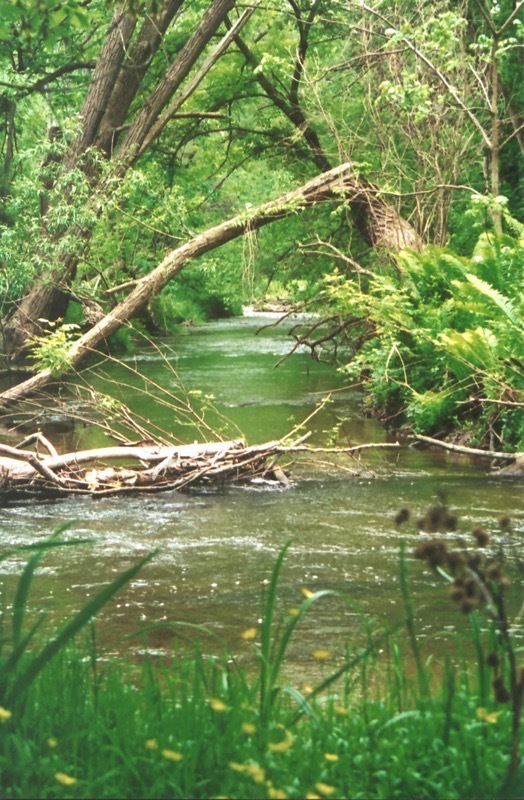 The City of Guelph and Grand River Conservation Authority recognized the importance of the Torrance Creek Sub-watershed in 1997 with the initiation of a sub-watershed study. One of the outcomes of this study was a need to develop a surface water, ground water and terrestrial monitoring program. The purpose of the monitoring program was to assess environmental change in the sub-watershed, evaluate compliance with the sub-watershed plan’s goals and objectives and provide the City/GRCA with information necessary for implementing best management within the watershed. NES prepares an annual monitoring program and report the Watson Development Area, per requirements outlined in an Environmental Implementation Report. The purpose of this monitoring program is to: (1) evaluate the performance and effectiveness of the stormwater management system; (2) assess the effectiveness of the mitigation measures implemented to protect natural features; and (3) identify any refinements required for future phases of development. 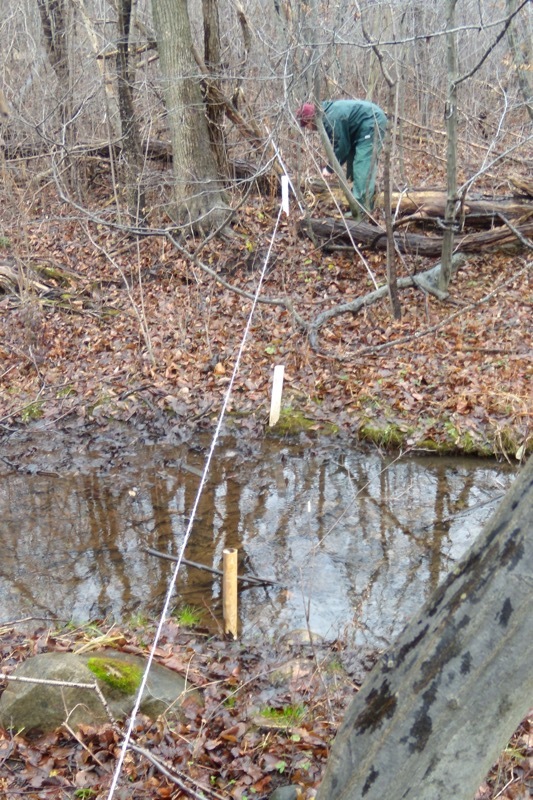 The monitoring program includes streambank erosion monitoring, annual channel measurement, photo-monitoring of site conditions, annual assessments of vegetation and wildlife habitat within remnant natural areas, and restoration progress adjacent to stormwater management ponds. Results of the annual monitoring program are combined with water quantity and quality analyses conducted by an engineering firm. A multidisciplinary annual report is prepared which summaries trends and findings of the monitoring program in an integrated manner. This project involved the assessment and evaluation of a 250 ha freshwater marsh for restoration. Restoration goals and objectives were set with a 24 person steering committee. Restoration problems included non-native fish species (carp), excessive turbidity and a long fetch. 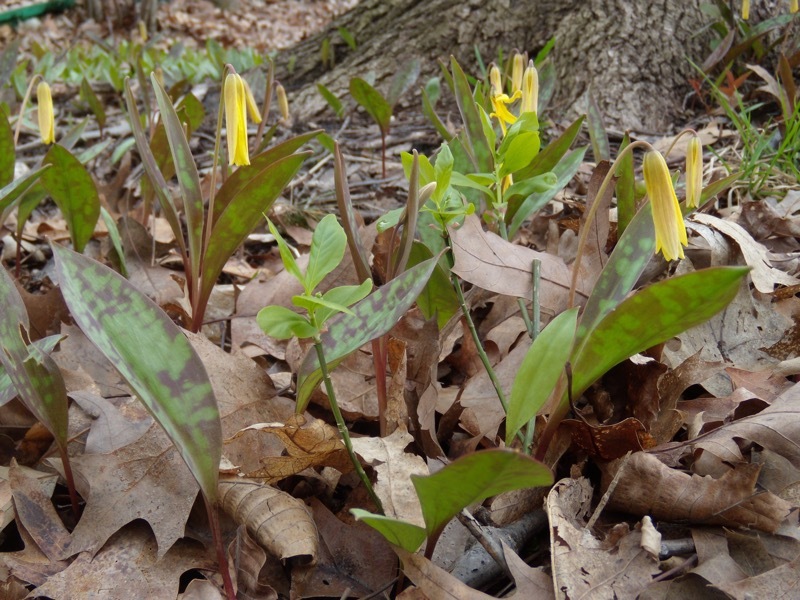 A ten-year restoration plan was proposed using native plant species. The design concept used vegetation patterns that, once established, would rapidly improve conditions to allow an increase in plant diversity and subsequently faunal diversity. Logistical considerations for planting were documented and a monitoring program that would feed information back into the plan to refine the concept (adaptive, experimental approach) was developed. Screening reports were produced in accordance with the Environmental Assessment Review Process (EARP) to secure approvals. The purpose of this project was to develop a restoration plan to restore former agricultural fields to a natural state, including creation of wildlife habitat and propagation of native plant species. The overall objective of restoration was to decrease the fragmentation in the Park, provide additional natural habitat, and create a potential wildlife corridor. Issues associated with surrounding land use, a legacy of agricultural land use, and existing conditions (e.g. invasive species, Species-At-Risk, and native vegetation communities) were considered in the restoration options and long-term monitoring plan. NSE was retained to identify opportunities for restoration as part of off-site compensation for a golf course extension within the Humber River floodplain. We prepared an Ecological Plan that defined the objectives for the restoration and provided a conceptual plan that integrated the requirement for Redside Dace supportive habitat as well as recommendations for enhancing the Humber River and Salt Creek riparian areas. NSE was retained to provide ecological expertise for the restoration of upland and wetland habitats currently occupied by sewage lagoons and clarifiers. 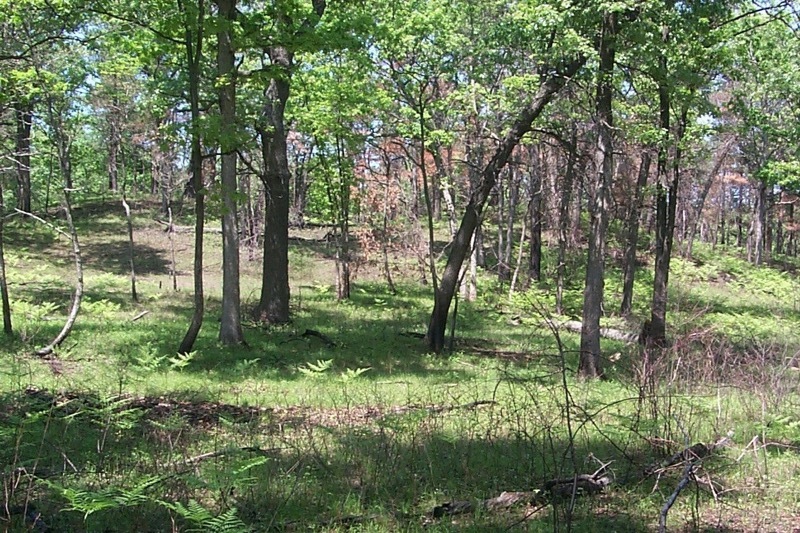 Information gathered from comprehensive field investigations was used in designing options for restoration. We provided expertise based on sound scientific knowledge and experience in the following areas: habitat succession, appropriate native plant associations, hydrologic considerations, wildlife habitat requirements, management considerations (e.g. invasive species, wetland water levels, etc. ), stewardship, and long-term monitoring. This included costing of implementation of the restoration plan, including the long term monitoring and invasive species management plans. This restoration involved two areas of existing farm land as a part of a condition of draft plan approval. 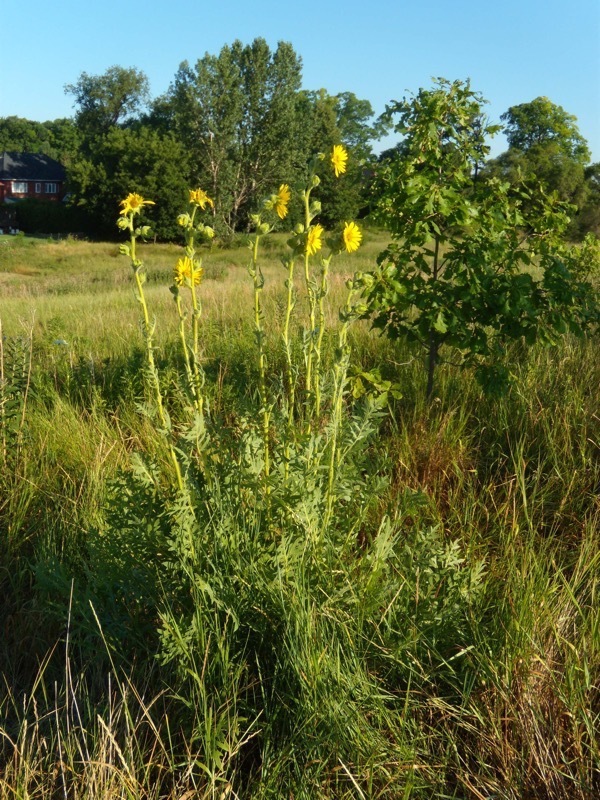 A field investigation within surrounding natural areas was completed in order to determine the vegetation associations and wildlife habitats to be considered in the restoration plan. Particular consideration was given to the management of invasive species including costing for removal and follow-up treatments. We worked with a landscape architect to select suitable native species, numbers and costing. Additionally, wildlife habitat features (e.g. 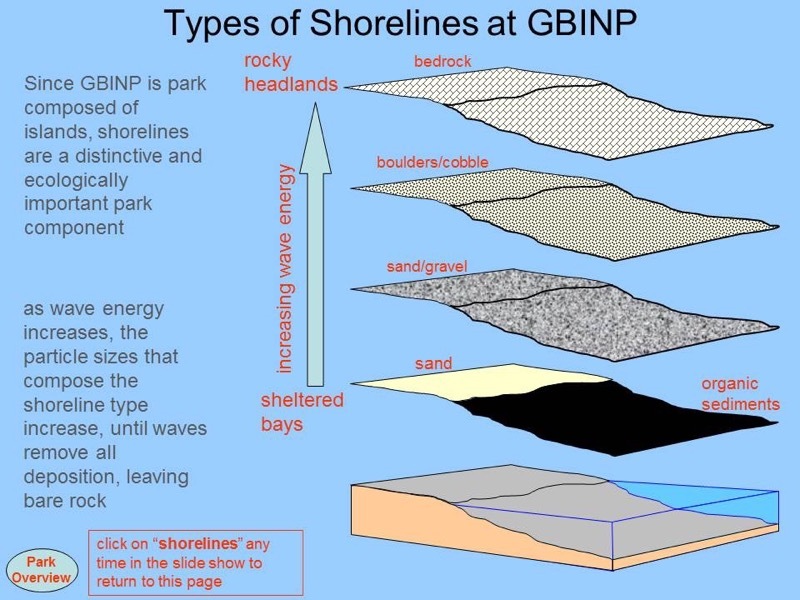 rock piles, logs, and wet depressions) were included in the restoration plan. Due to the anticipated increase in human presence from new adjacent development, natural screening, selected plant species educational signage were recommended to deter encroachment into sensitive areas. 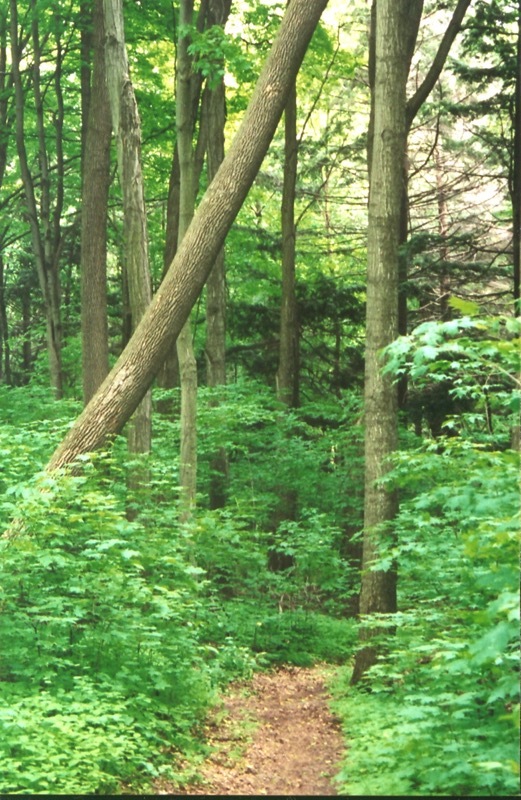 The City of Burlington proposed the development playing fields and ecological restoration on a 67 ha site on the brow of the Niagara Escarpment. A comprehensive environmental evaluation and impact assessment provided input to a Master Plan to guide the long term development of the site. 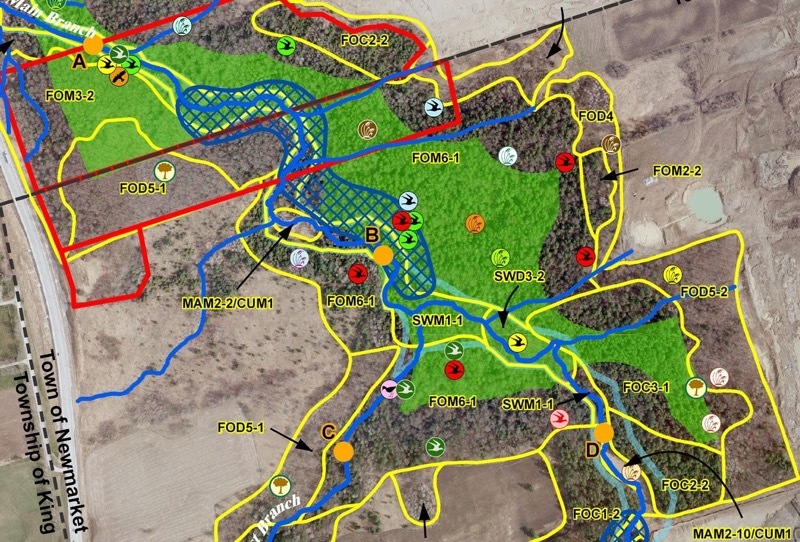 Owing to its ecological sensitivity and visual prominence on the brow of the Niagara Escarpment, a major restoration of native communities was proposed to restore woodlands and improve the ecological connectivity of the site. NSE developed a restoration concept and subsequently worked with a landscape architect and planting company to implement the plan. The ecological evaluation provided key guidance on the overall Master Plan including situating soccer pitches and baseball diamonds away from sensitive features and maintenance of major hedgerow features. 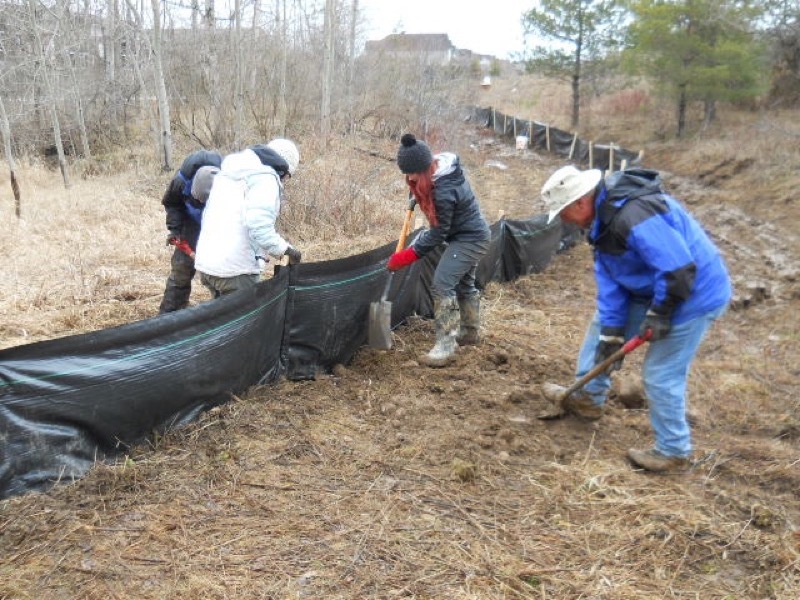 This project involved creating gaps in a conifer plantation, thinning the remaining plantation, and recruiting and organizing volunteers to plant a diversity of trees, shrubs and herbaceous plants within the gaps. A baseline inventory of flora was completed prior to plantation thinning and gap creation with a monitoring plan designed to evaluate restoration success. This study involved documenting the history of the provincially Endangered Small White Lady's-Slipper orchid at this site, summarizing its status, reviewing management programs in North America and providing a detailed analysis of the factors which affect its persistence including hydrology, hybridization with related species and changes in ecological process. A field program was undertaken to map the population and collect samples for electrophoresis in order to discriminate hybrids from “pure” individuals. A monitoring program was initiated and compared with historical baseline information. The vegetation mapping of the area was reviewed and changes suggested. 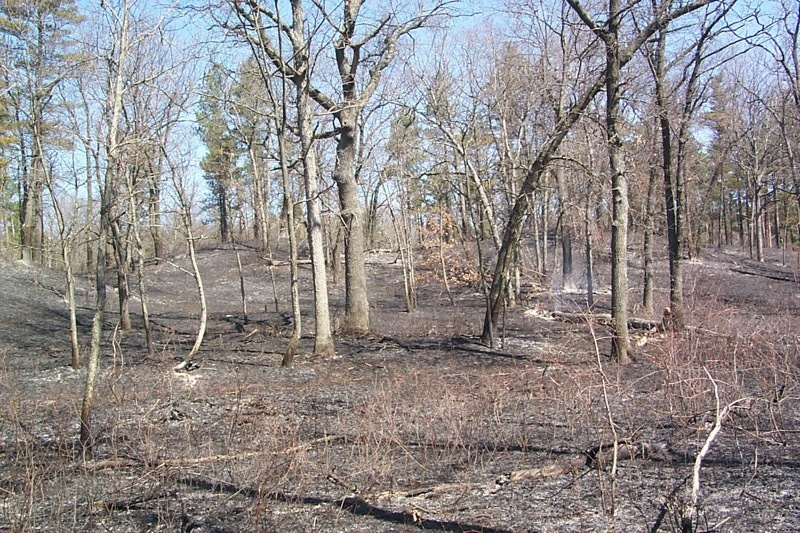 Management recommendations were provided which included the restoration of fire to the system to retain the open character of critical habitat. A review of the historical occurrence of this rare community was undertaken to validate its historical occurrence at Point Pelee and recent reports were reviewed determine its current status. We also reviewed literature on the aboriginal occupation in extreme southern Ontario to determine pre-settlement land management practices that might have affected this community. 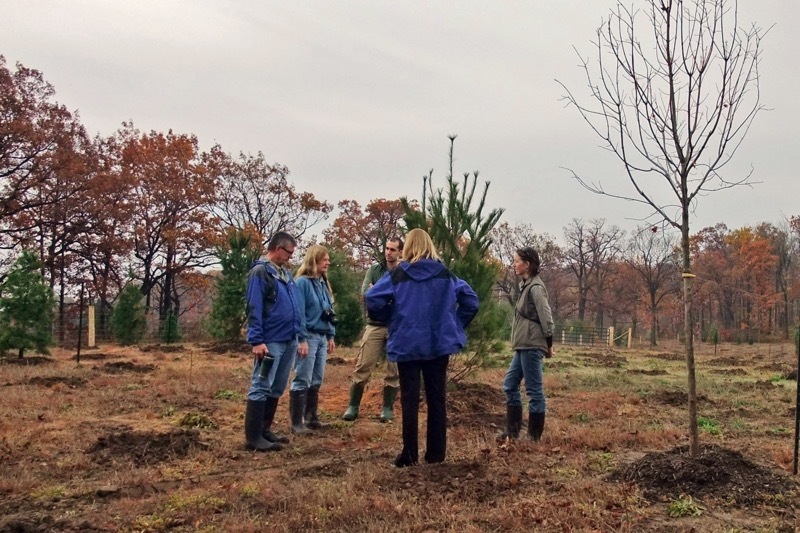 Field studies were undertaken to evaluate candidate sites for restoration. A management prescription was recommended that would restore the indigenous fire regime which historically sustained this community in the Park. This study formed the basis for the ongoing restoration of the Park’s savannahs.